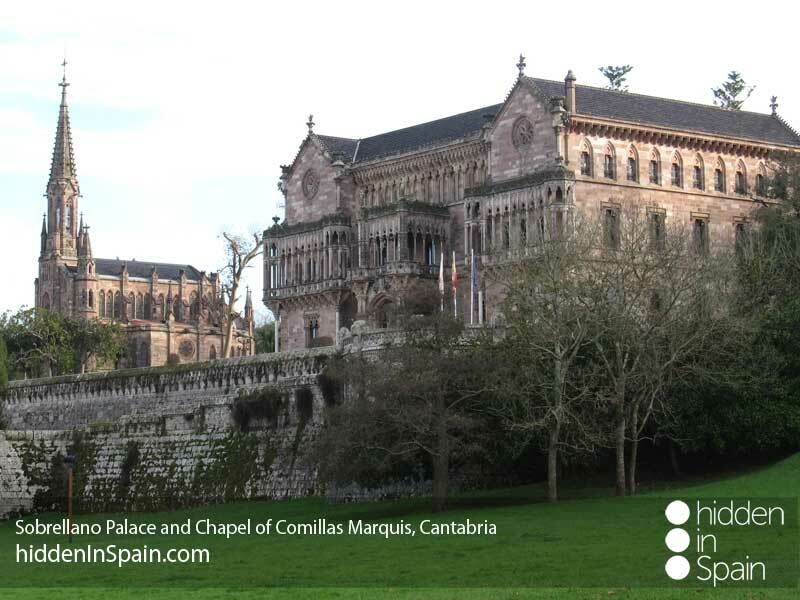 Discover some of the most beautiful coastal and inland villages in Cantabria and its capital, Santander. This province will really surprise you. It is a seven days journey in which you should enjoy great fishes and marvellous meat. Cantabrian people is hard at the beginning but also very polite. People in the capital are sophisticated and like to show their status in the way they are worn, where they go, etc… This contrasts with inland people much more informal but equally hard. It is also true that they all have got a good hart and will do anything to satisfy your needs. 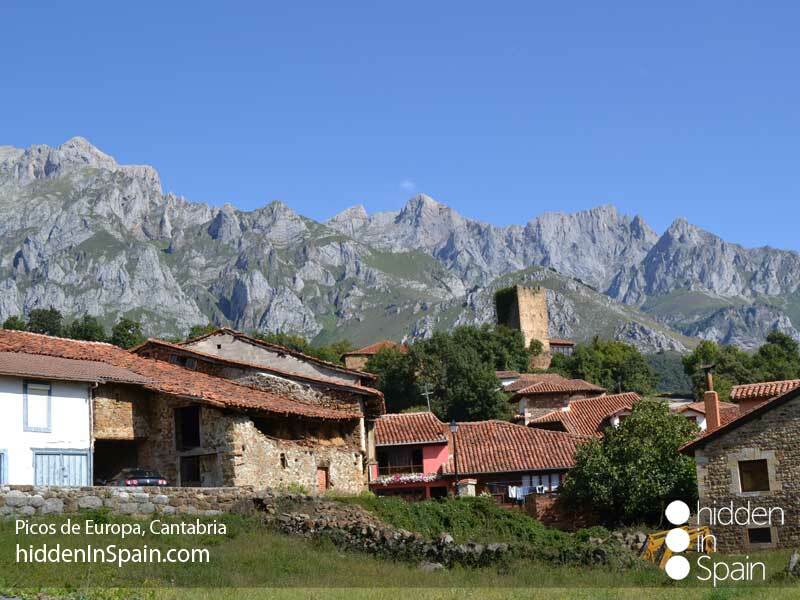 This route will take you through the Cantabria visiting some of the nicest coastal villages and some of the most beautiful inland in this wonderful province. It is a seven days journey in which you should enjoy great fishes and marvellous meat. Cantabrian people is hard at the beginning but also very polite. People in the capital are sophisticated and like to show their status in the way they are worn, where they go, etc… This contrasts with inland people much more informal but equally hard. It is also true that they all have got a good hart and will do anything to satisfy your needs. 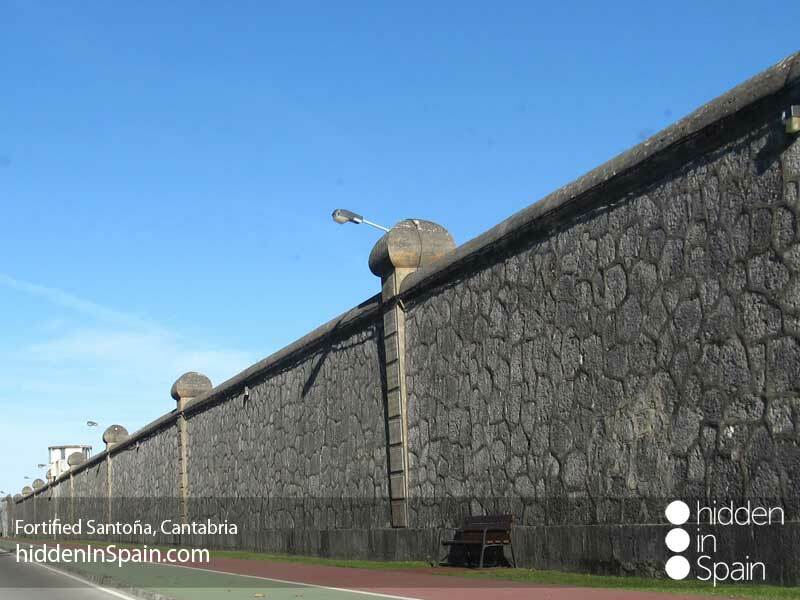 Arrive in Bilbao and drive to Castro Urdiales. 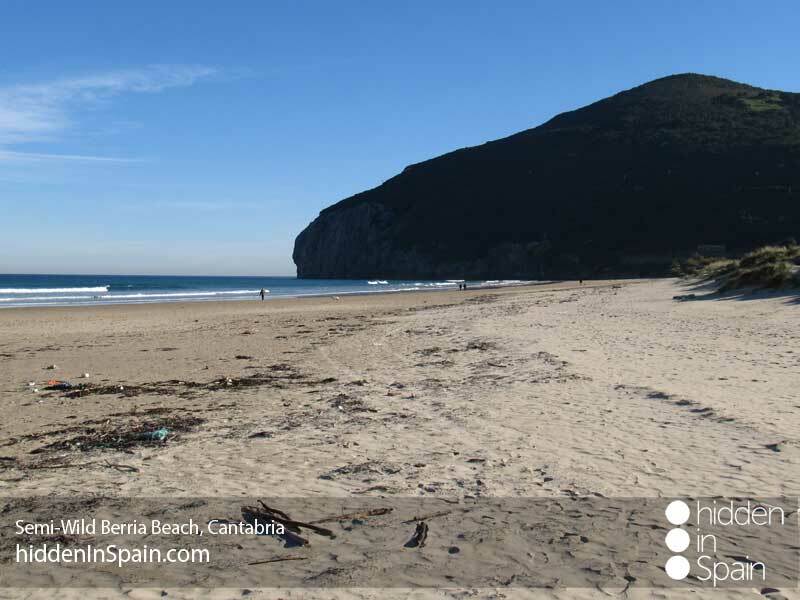 This small fishing village is surrounded by steep cliffs and beautiful beaches. 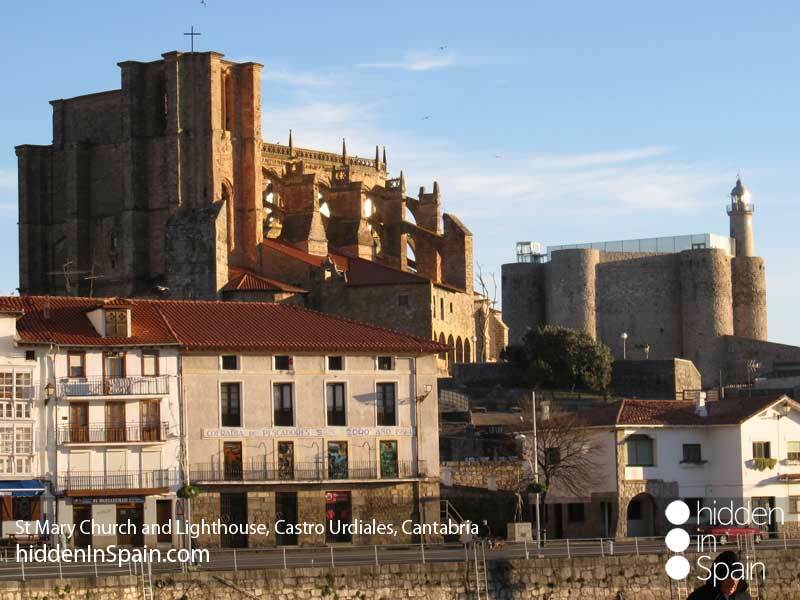 The gothic church of Santa María (XIII century), the medieval castle converted into a lighthouse and the church of Santa Ana and the medieval bridge joining them are a must – see. Walk through the popular “Puebla Vieja” (the old town), full of small streets with many restaurants and bars. 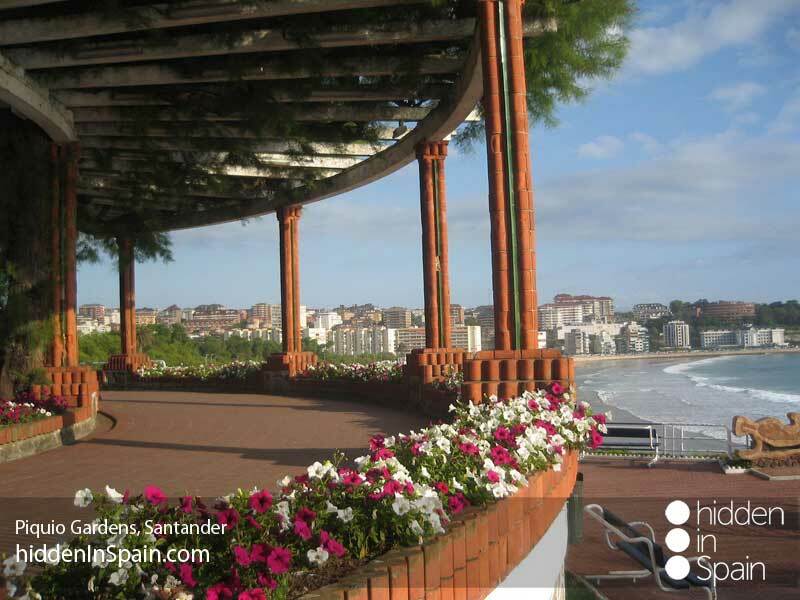 Get to the pier and if you want to enjoy awesome views go to Cotolino Park in the eastern part, a spectacular projection of the coast towards the sea. Travel to Somo and overnight. 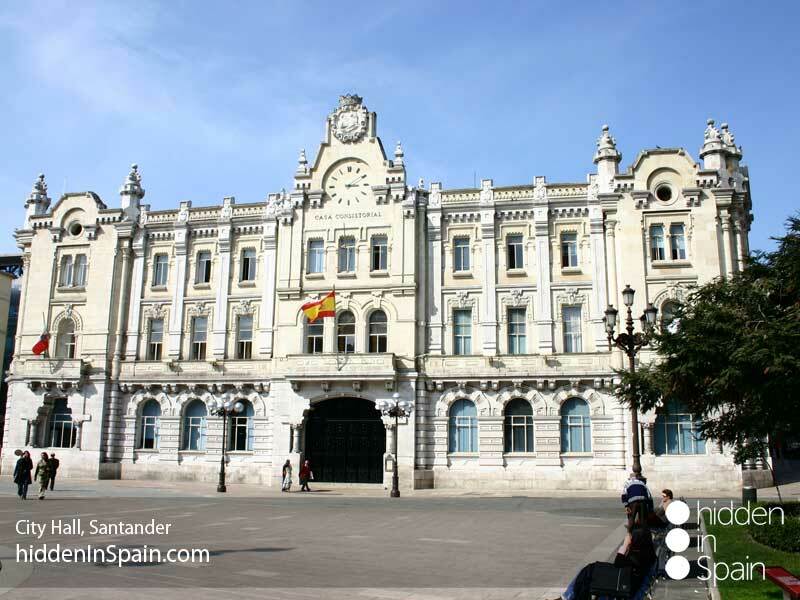 Somo is located just in front of Santander and if you go to its beautiful and long beach you will see it. 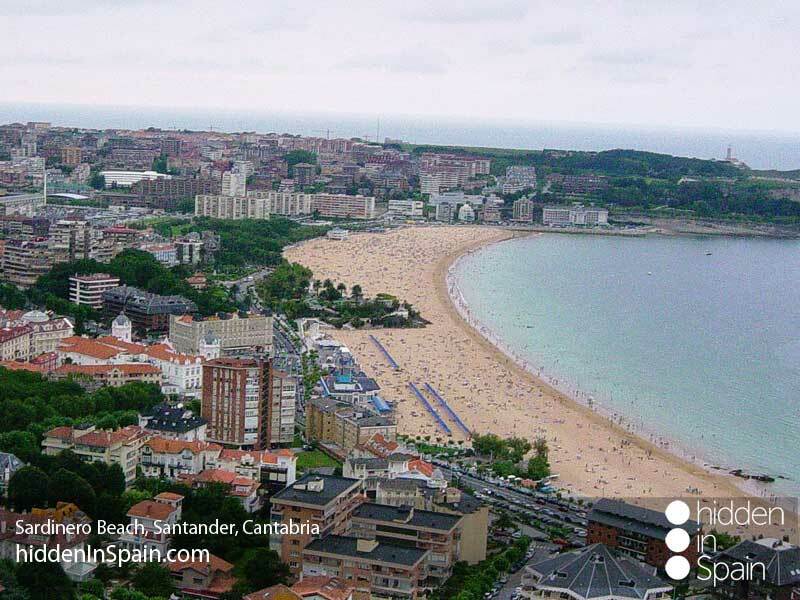 There are boats that can take you to Santander from this village. 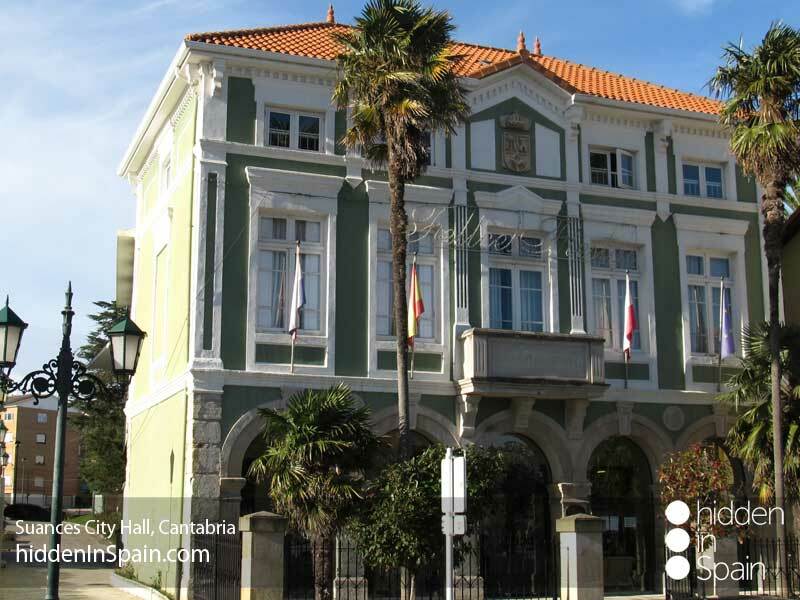 Take a walk in Somo and relax having dinner at any of its many restaurants. Fish and sea food are fresh everyday. 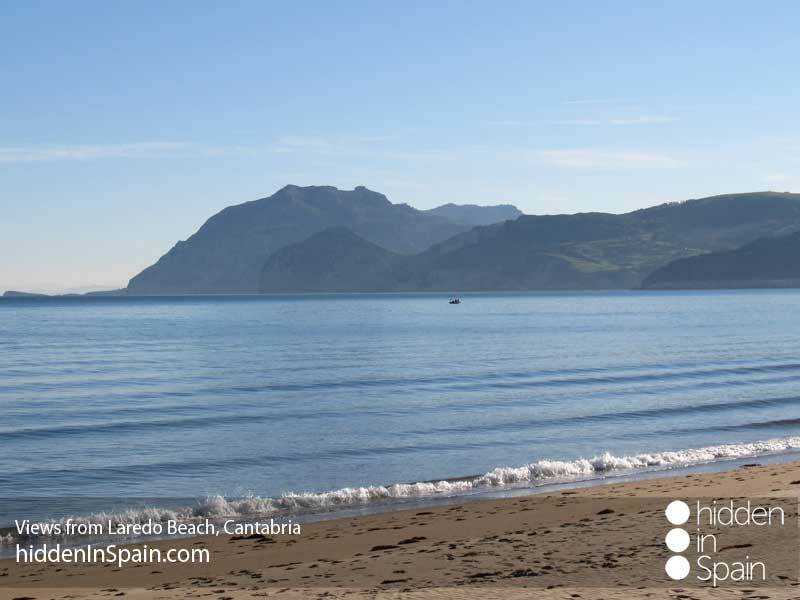 Go back to Laredo and visit this coastal village where you can walk through any of its many parks or along the Promenade, parallel to the beach Salvé where the cliff “The song of Laredo” is. At the end of the “Promenade” is the fishing port. 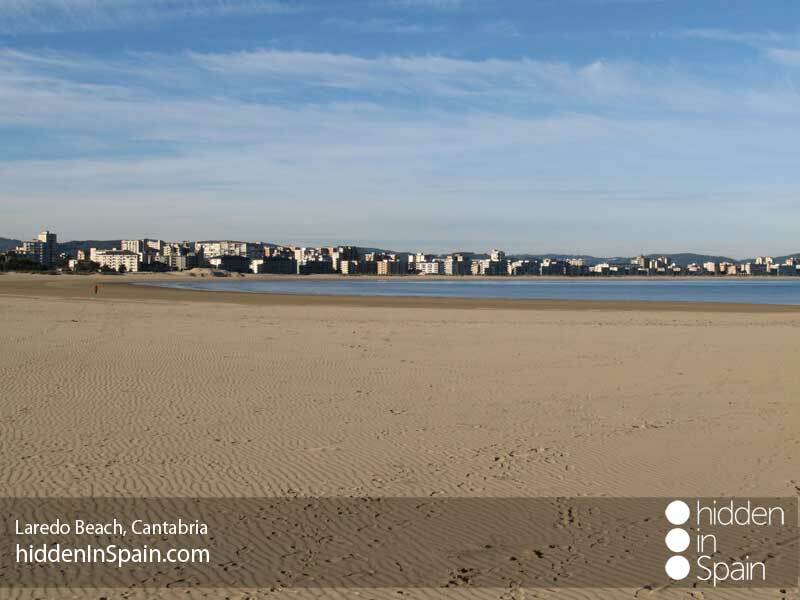 Visit the old town and don´t miss the environmental Atalaya Park from where you can see the cliffs of “La Atalaya” and the Santoña Bay, your next stop. 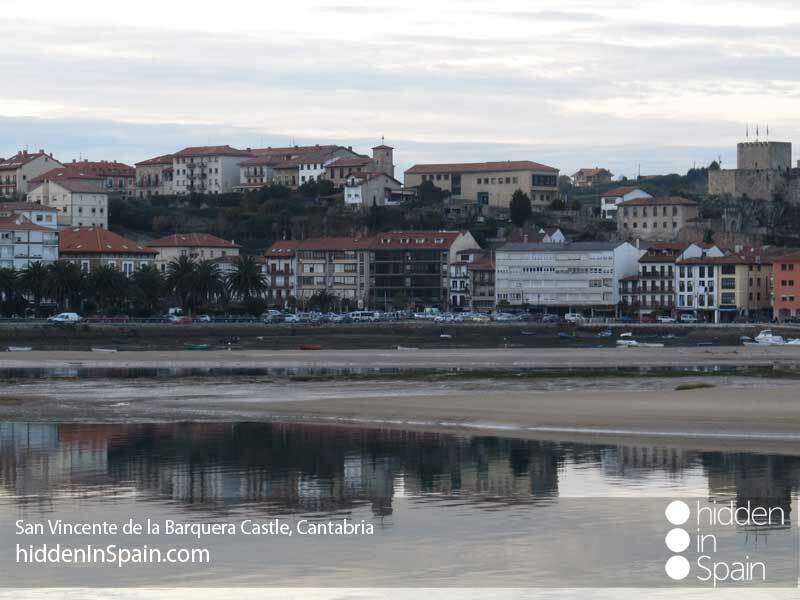 Santoña is well known by its anchovies. 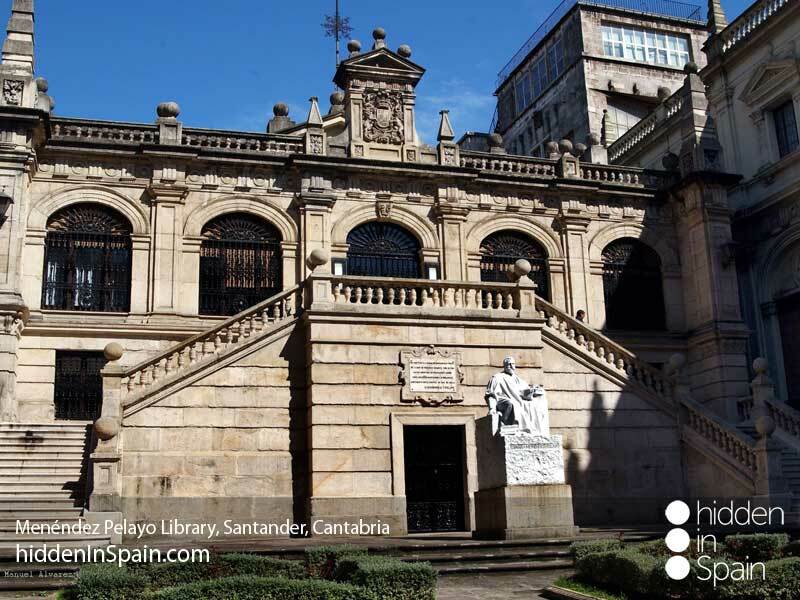 It is considered as the place where the caravel “Santa María” was constructed. 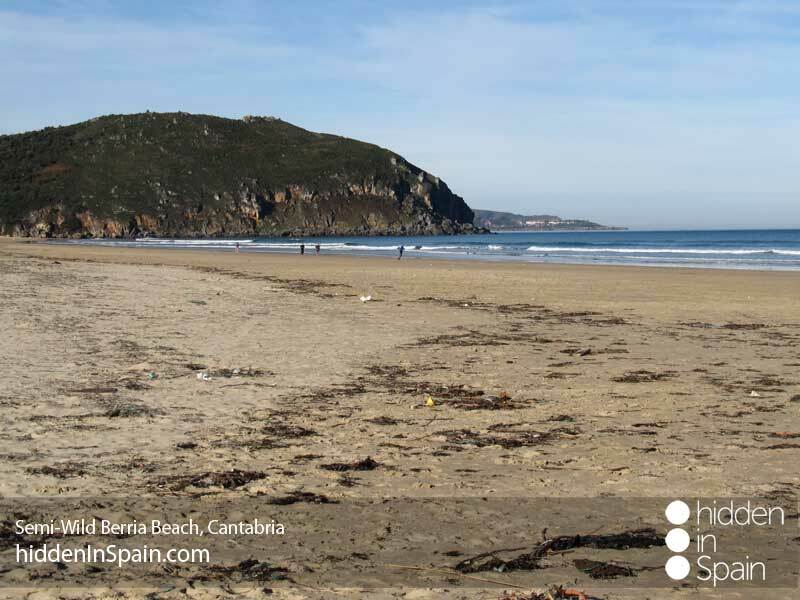 Visit its city center and go up Mount “Brusco”, where the semi-wild “Berria” beach is. 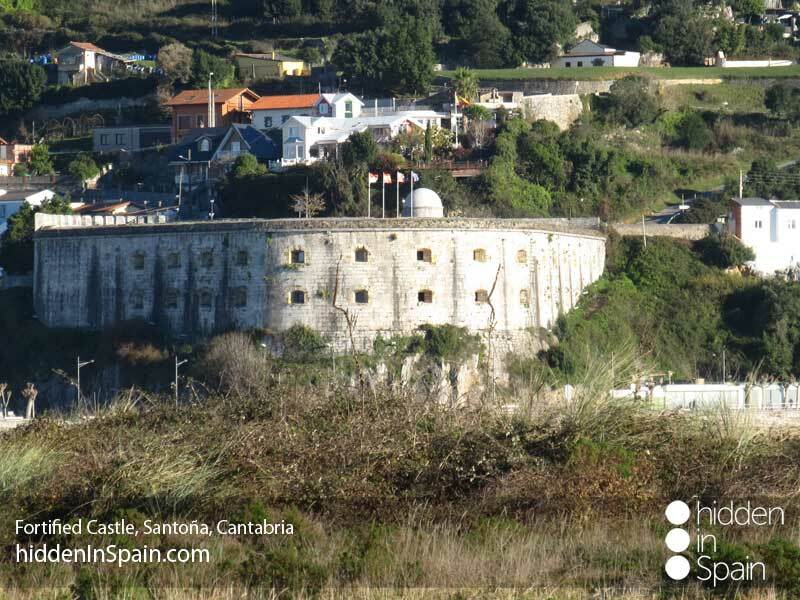 To the north Mount “Buciero”, fortified area rounded by lighthouses and cliffs. 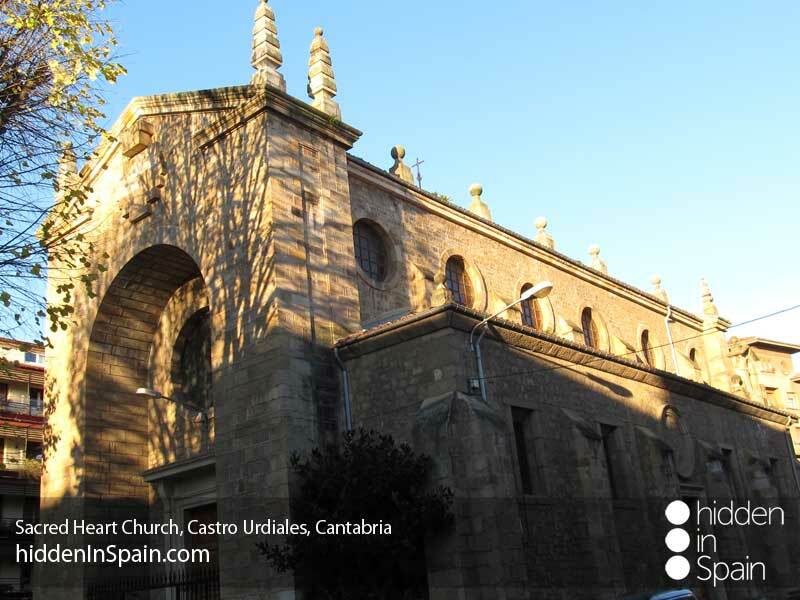 Don´t miss the “Santa María del Puerto” church and the Marshes Nature Reserve. Isla: Enjoy a rich coastal environment in different landscapes, from wide sandy beaches to secluded cove beaches and dramatic cliffs. 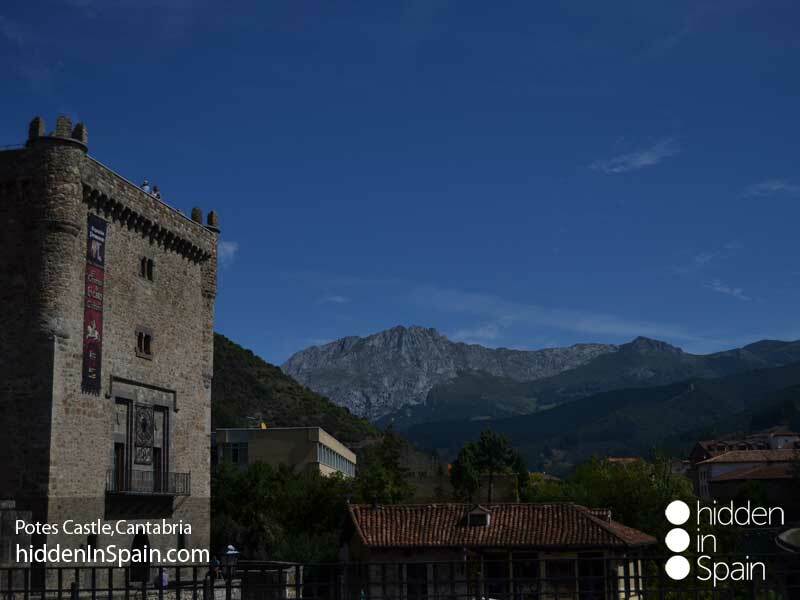 There a re many buildings declared of Cultural interest and worthy to see as the old quarter of the town, the church of San Julian and Santa Vasilisa, the Palacio de los Condes de Isla, and its many medieval towers. 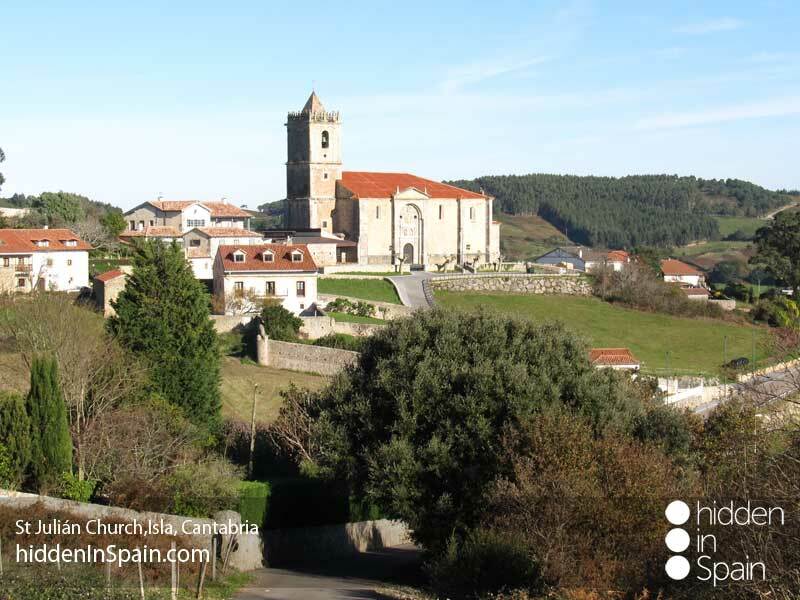 In the way to Santander you can make a stop in Pedreña if you are a golf lover because it is home of the famous and sadly deceased golfer Severiano Ballesteros. Move back to Somo and overnight. 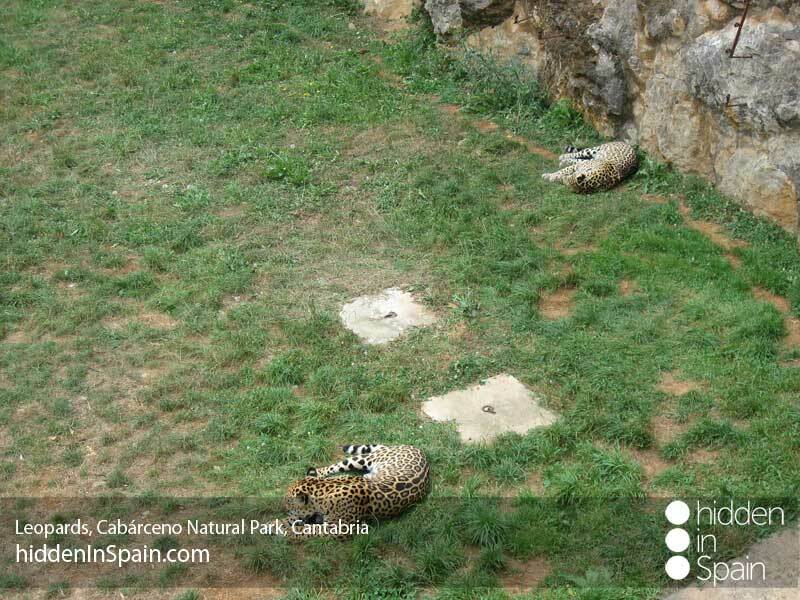 Cabárceno Park is a different zoo where you can find hundreds of animals in semi-freedom and is considered as one of the favorite tourist destinations for those visiting Cantabria and northern Spain. 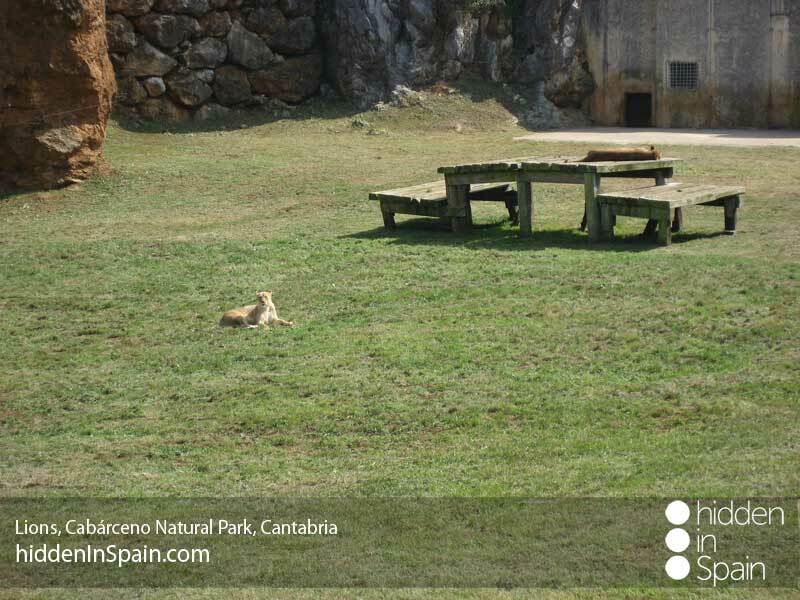 It has 750 acres, and was opened in June 1990. 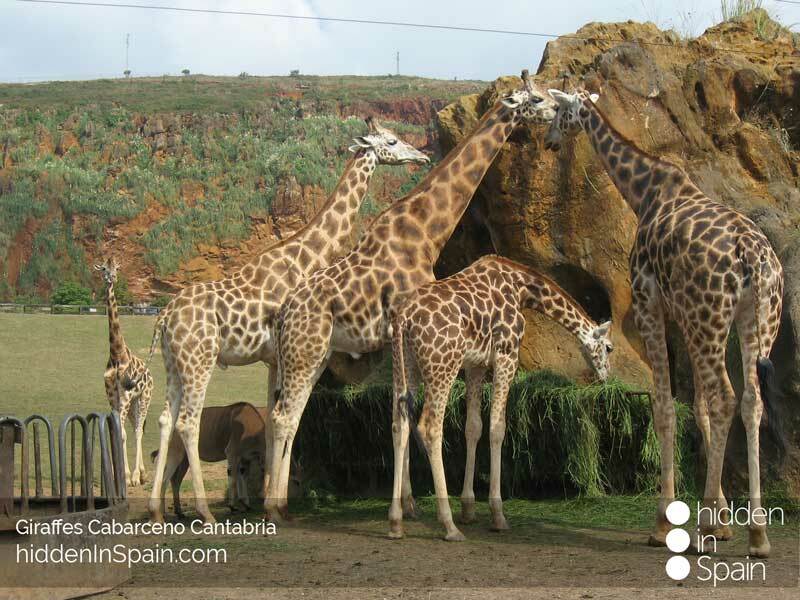 It is placed in an old iron extraction mine, subject to an environmental restoration project. 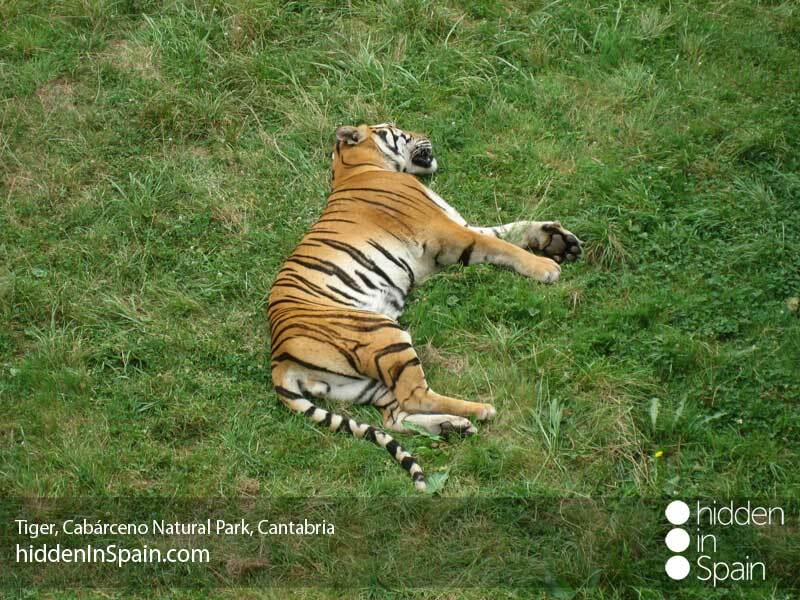 You can visit it hiking or by car. 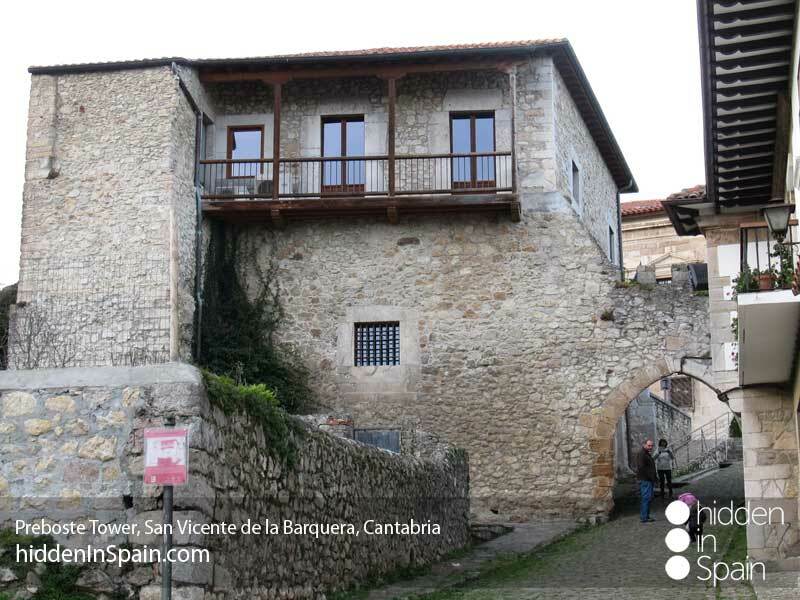 Next stop is Vega de Pas, located in the southeast of Cantabria, on the border with Burgos, is one of three villas pasiegas, founded in medieval times. 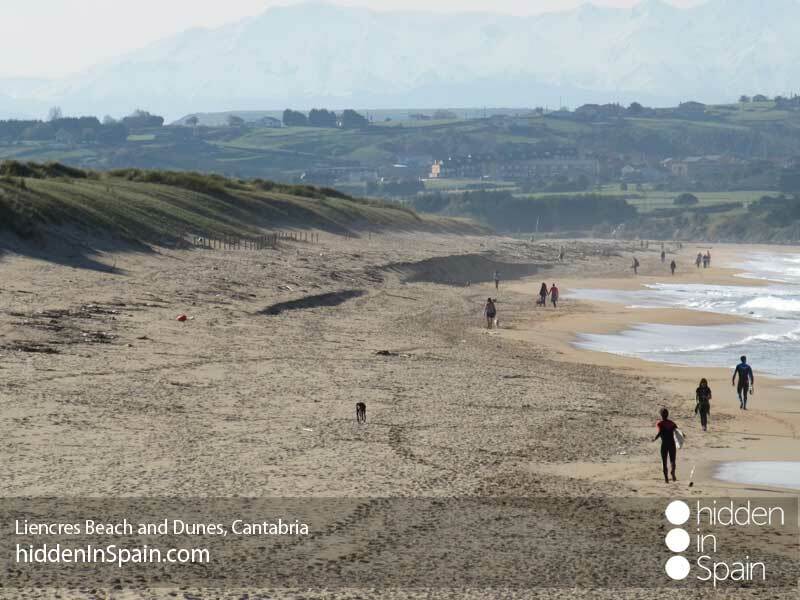 It is the clearest prototype of the inhabitants of Cantabria. In the valley you will see the traditional “cottages”. 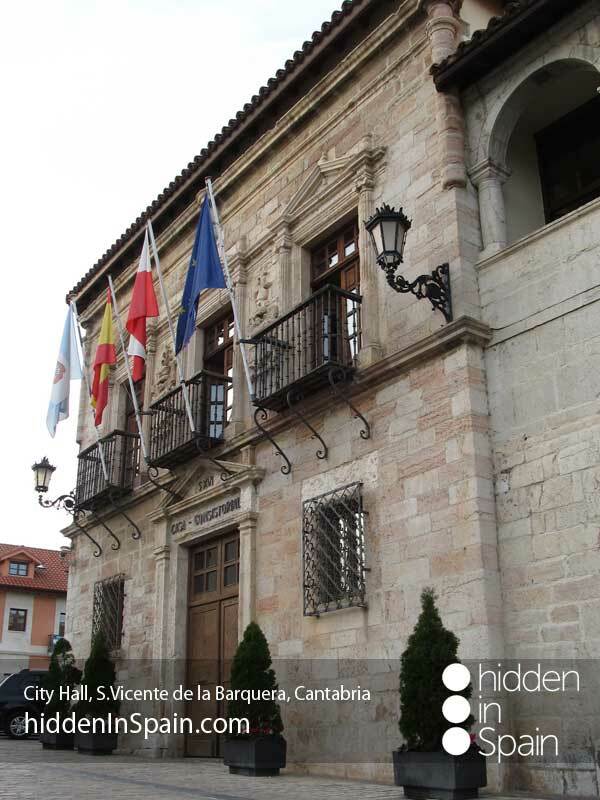 Don’t miss the square in Vega de Pas and its houses with balconies. 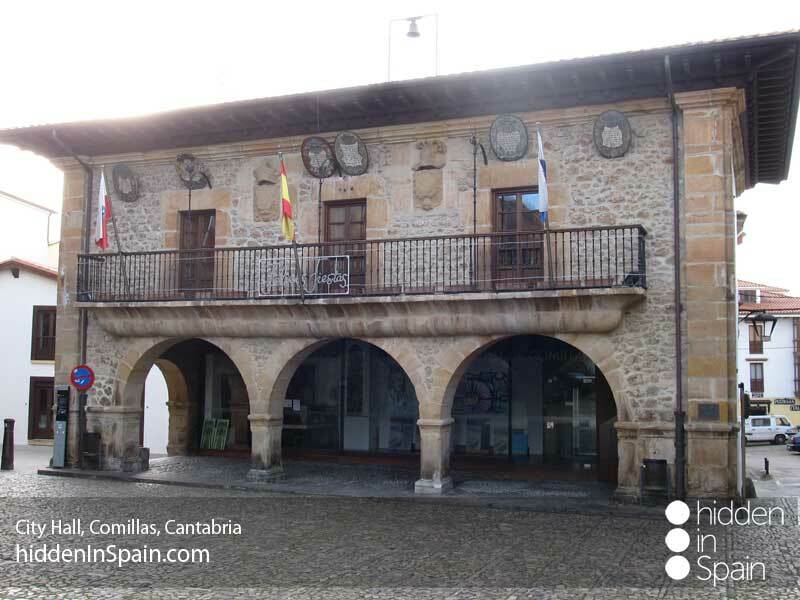 The “sobao” and “Quesada”, are the two most famous traditional sweets of Cantabria. Here they achieve their maximum delicacy. They are equally extraordinary the homemade butter and the pasiegos quesucos (cheeses). 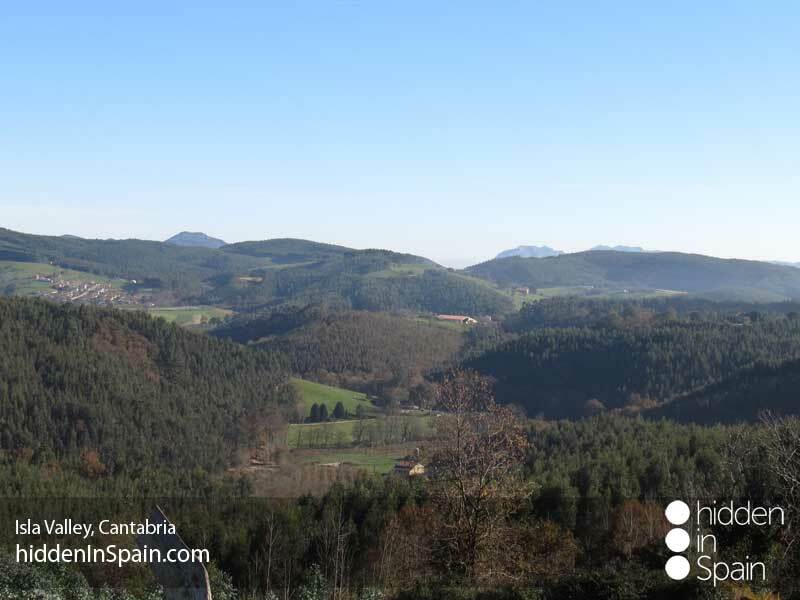 Vega de Pas, San Pedro del Romeral and San Roque de Romeral Riomiera, are called the "three pasiegas villas". 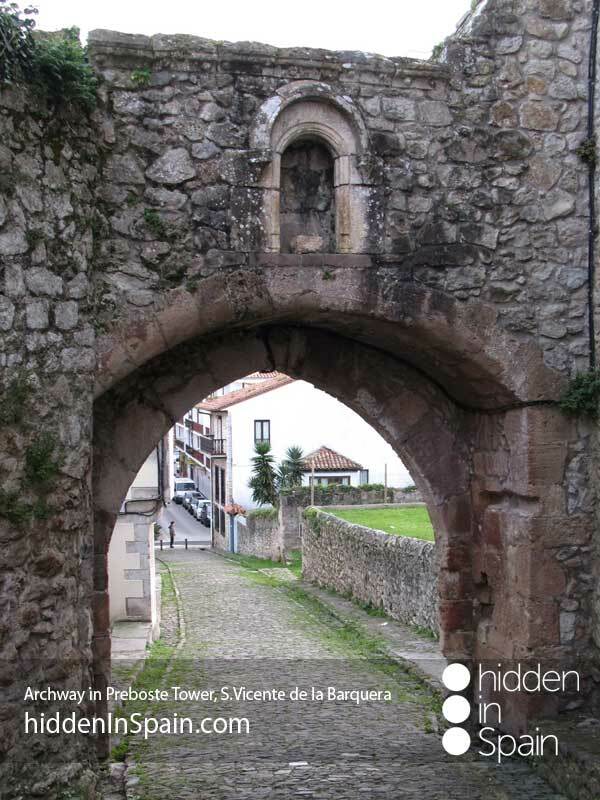 Enjoy the route to Puente Viesgo and stop at any of the small villages you will find in the way. 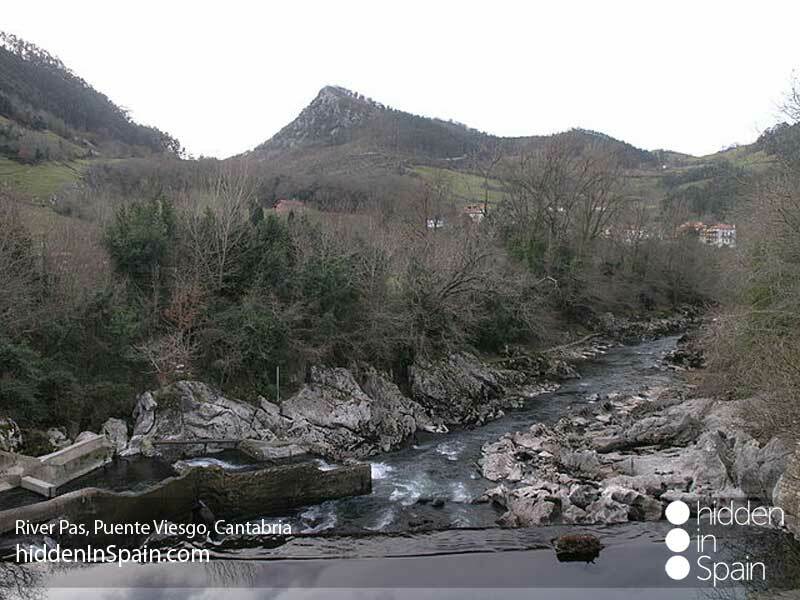 Puente Viesgo is located in the Northern area of Toranzo Valley. 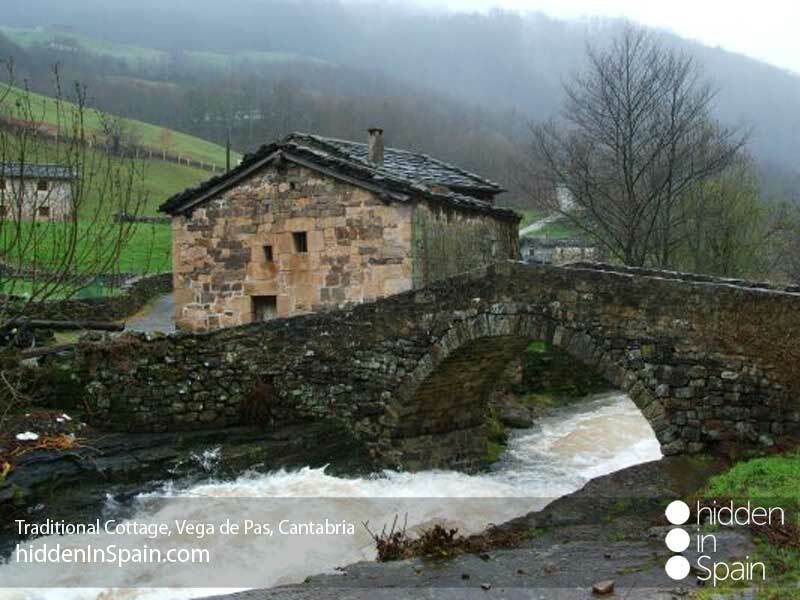 It is crossed by the best known of Cantabria Rivers, the Pas, and was established as a population center in the Middle Ages. 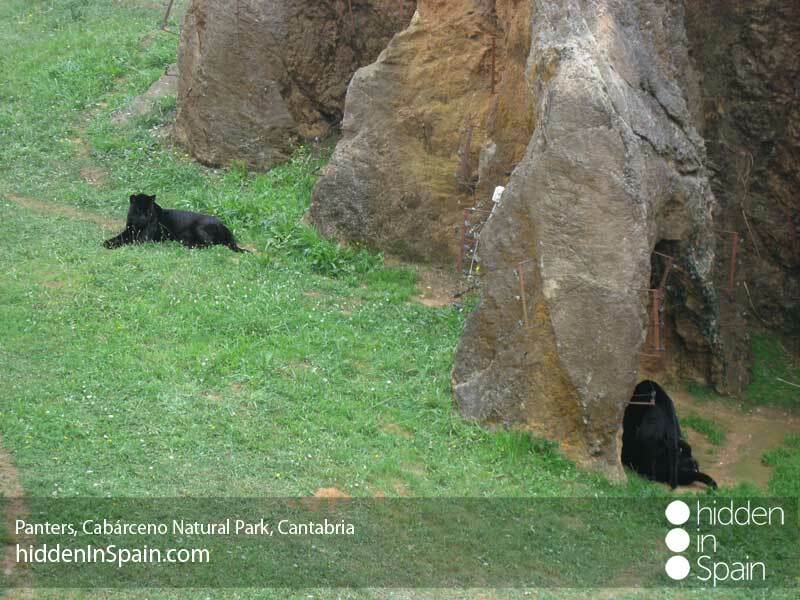 At Puente Viesgo are located some of the most important prehistoric caves in the region, specifically in Mount Castillo. 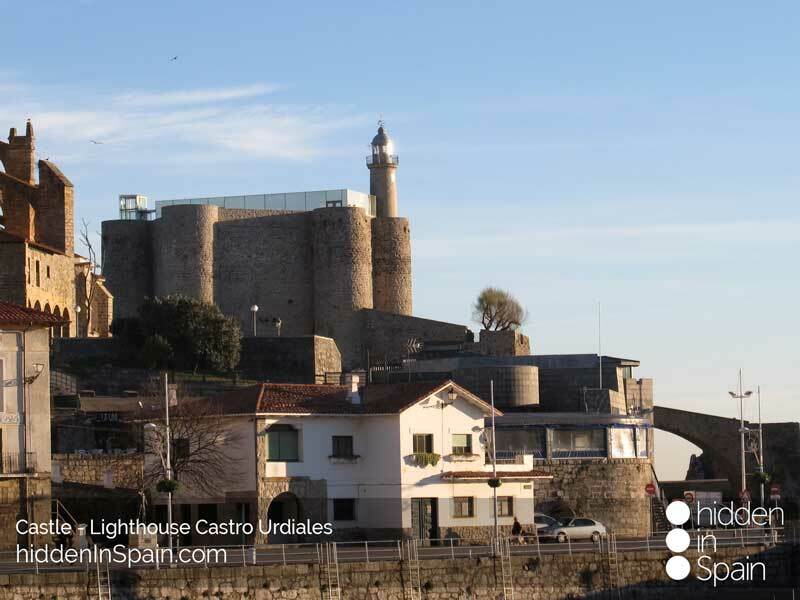 Visit the town and its castle. 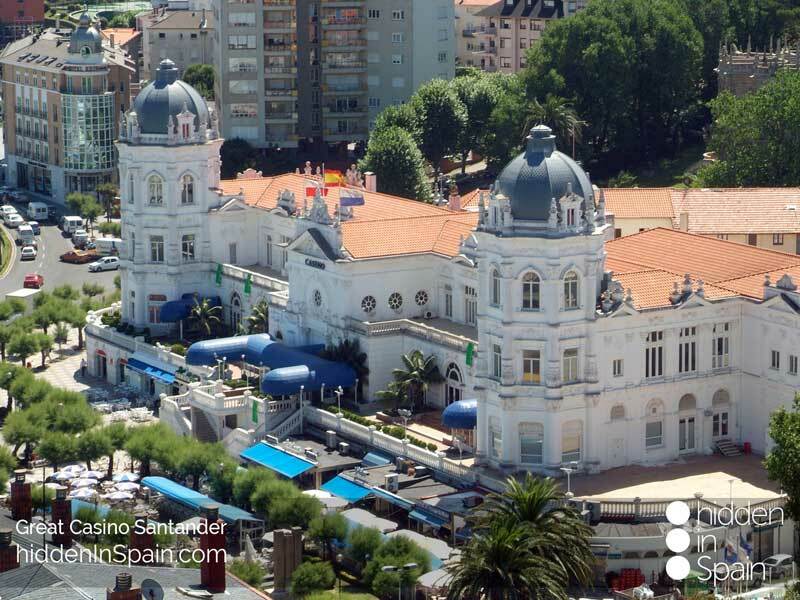 You will be hosted at the hotel and spa that uses the medicinal waters of the spring and has been recently renewed. 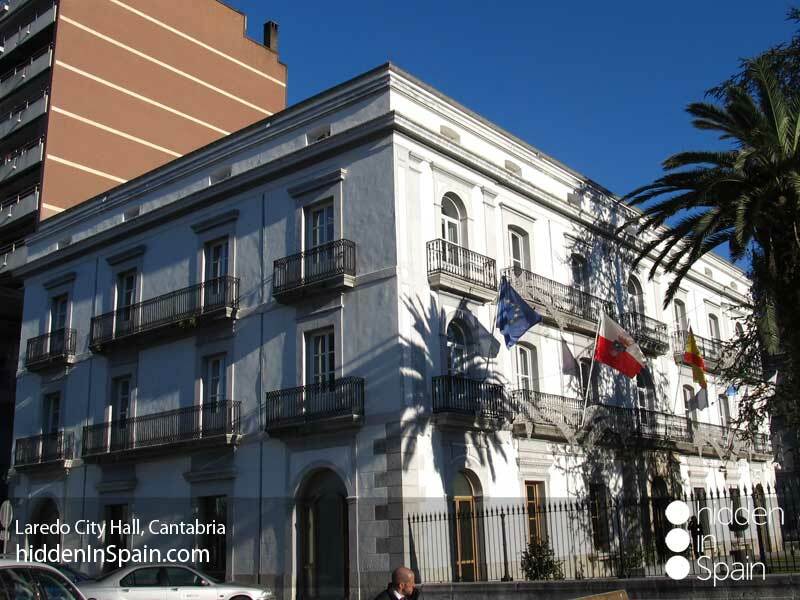 The Spanish national soccer team holds its concentrations in this spa. 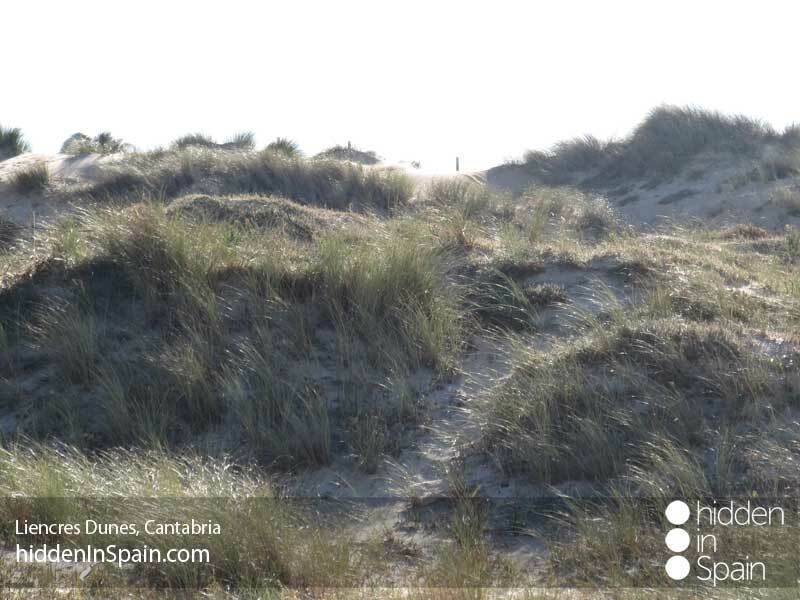 Going back to the coast visit the “Parque Natural Dunas de Liencres”. 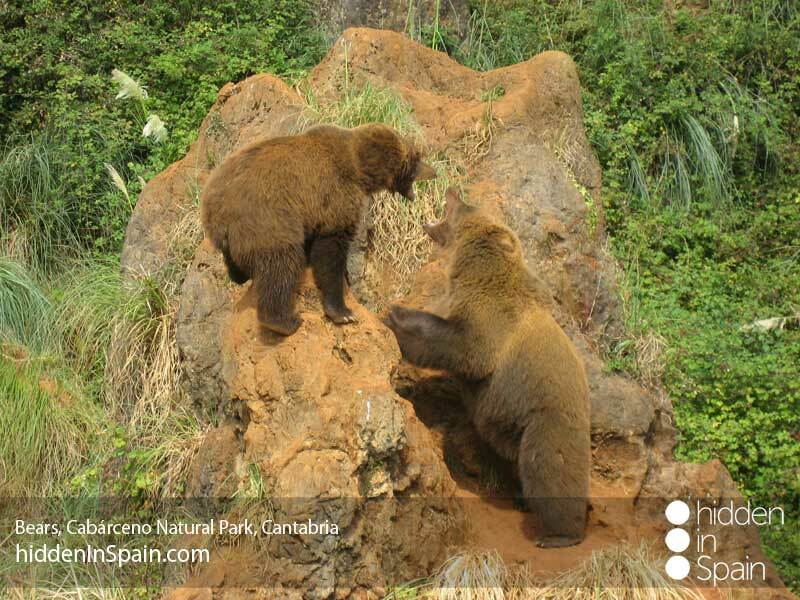 Declared Natural Park in 1986 is located in the estuary of the River Pas. 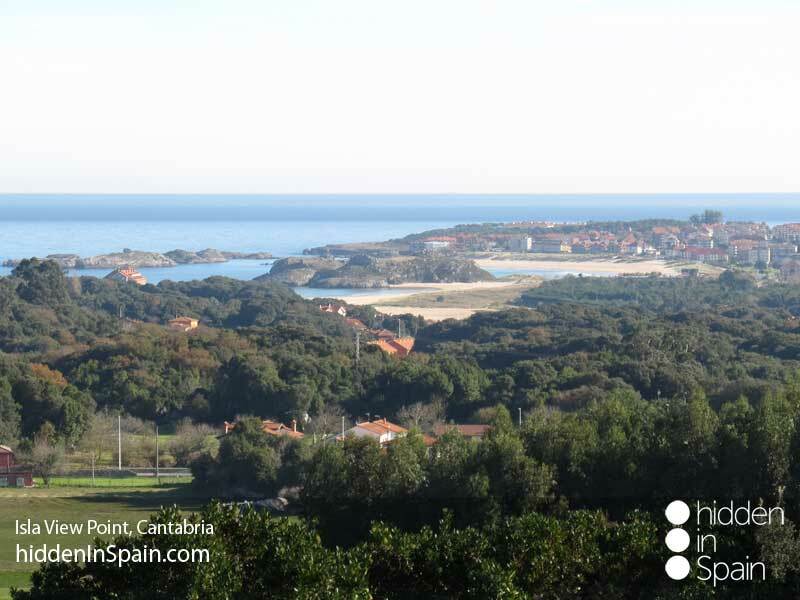 It has 195 hectares and holds creeks and two beautiful beaches. 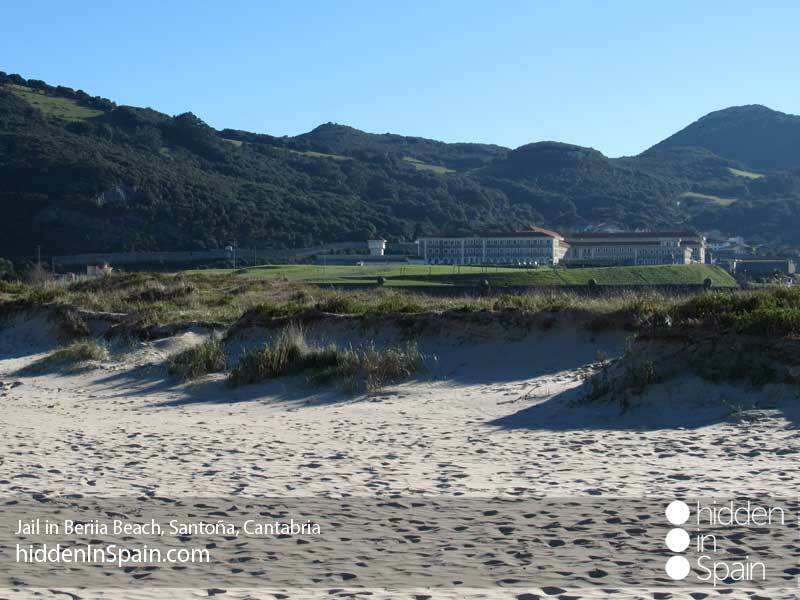 Behind the beach you will find the dunes, considered the most important in northern Spain. 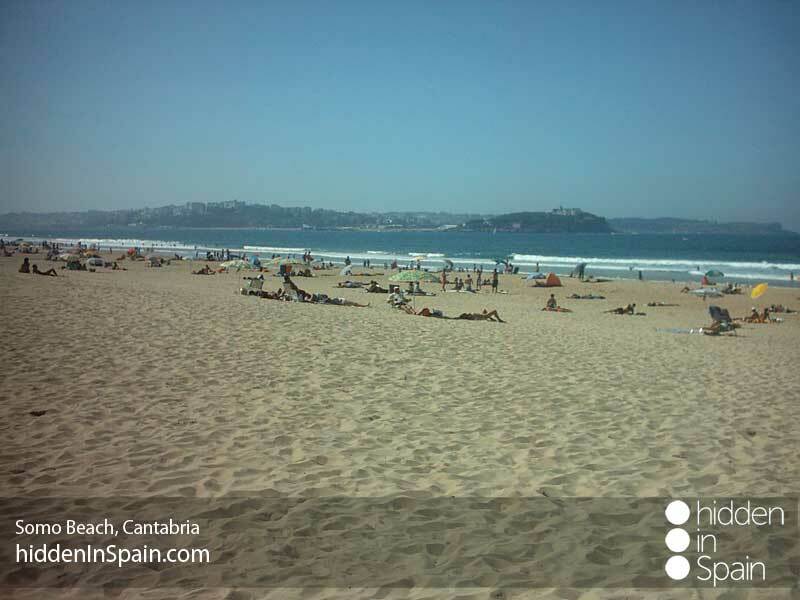 They are created by the wind, which brings the sand from the coastal currents and from the River Pas. 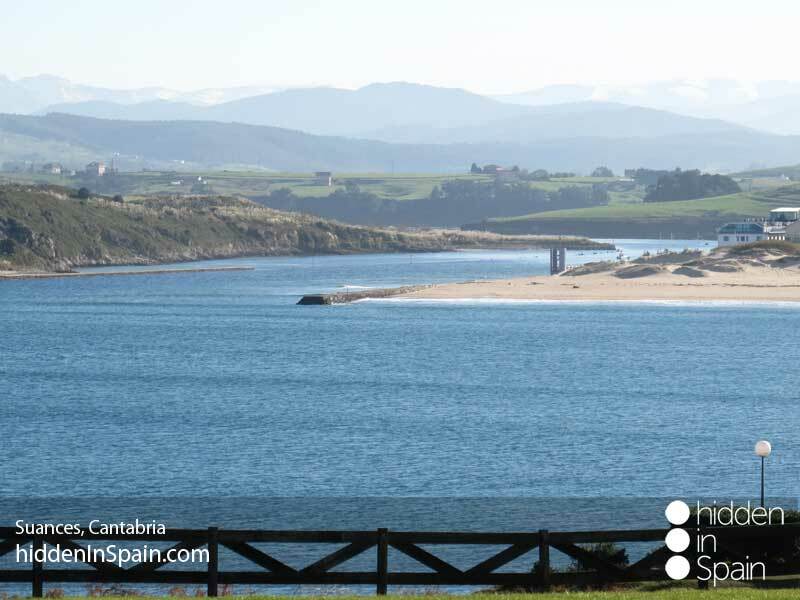 Move to Suances and visit the town which maintains vestiges of its maritime past in the neighbourhood of La Cuba, clustered with traditional fishermen`s houses. 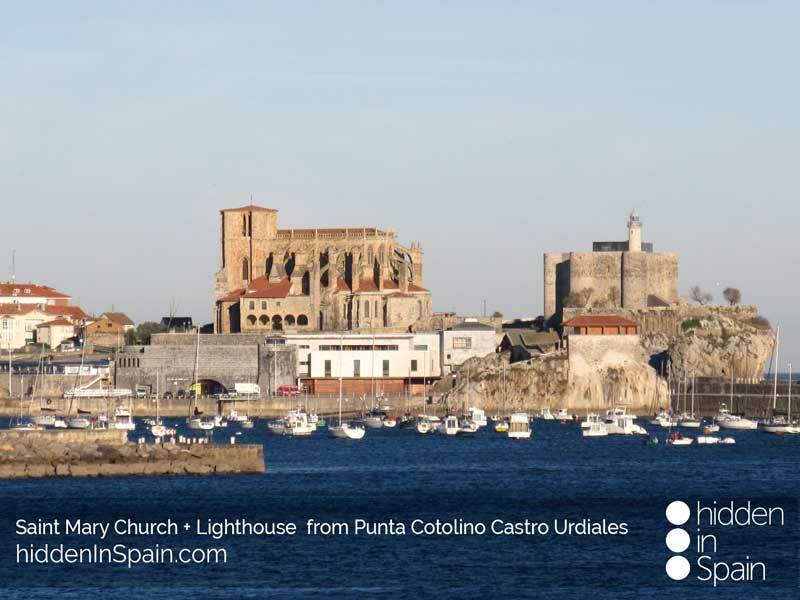 Few churches must be seen in Suances. 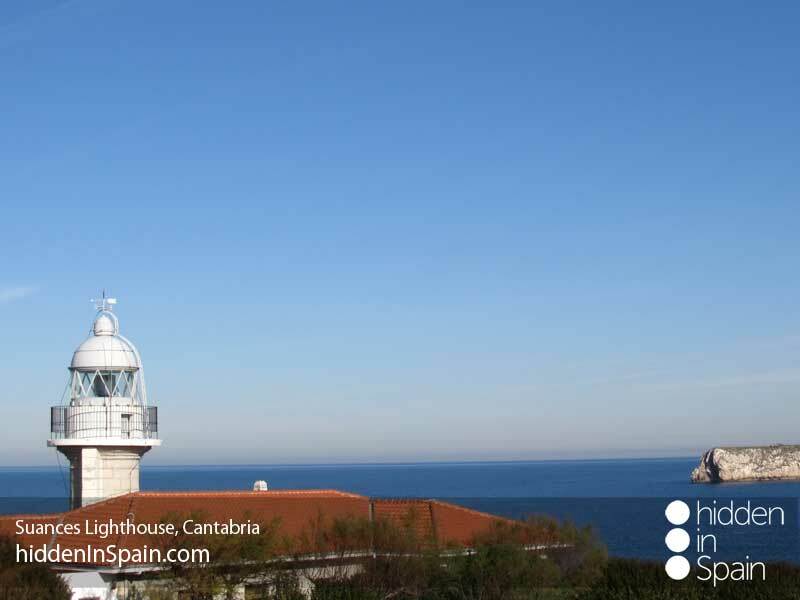 Go to Torco viewpoint to see the lighthouse and the views of the village and the “Concha” beach. 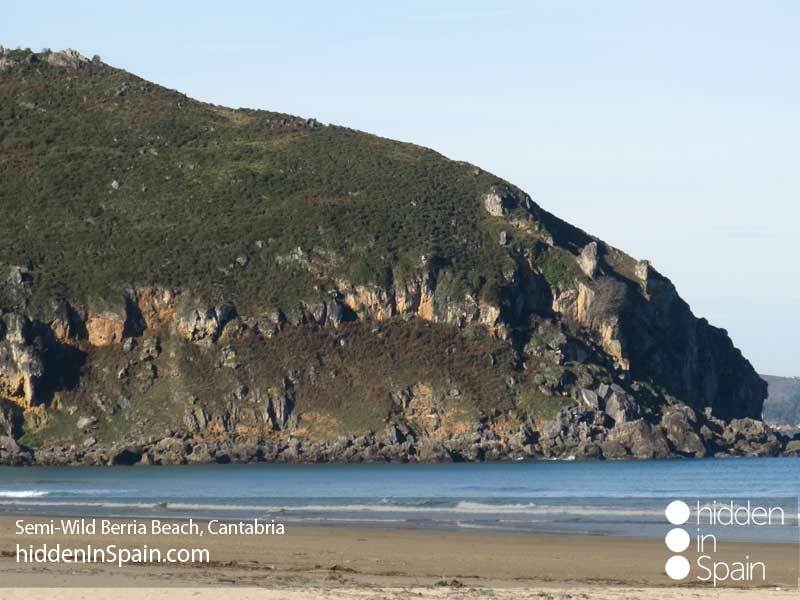 Go up “Punta del dichoso” and go to the castle viewpoint, from where you will see “Los locos” beach and the cliffs. 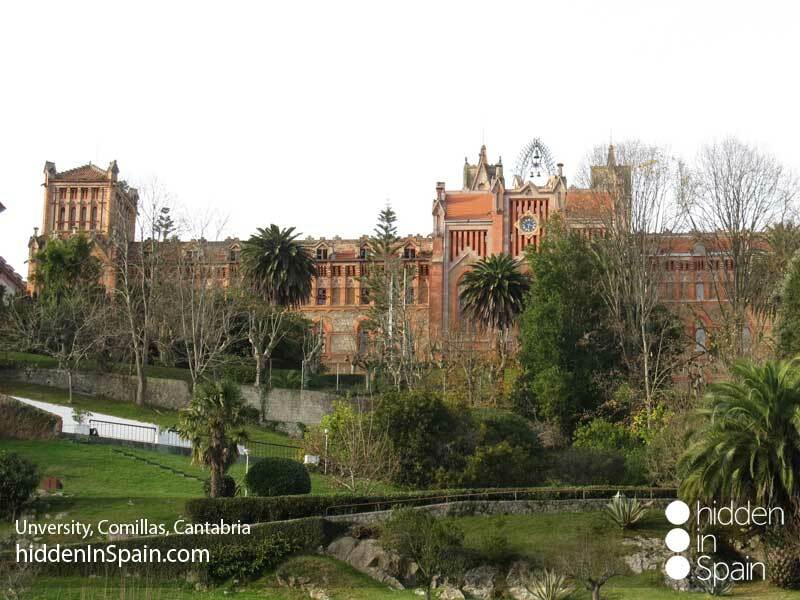 Time to go to Comillas, declared Historic Artistic Town in 1985. 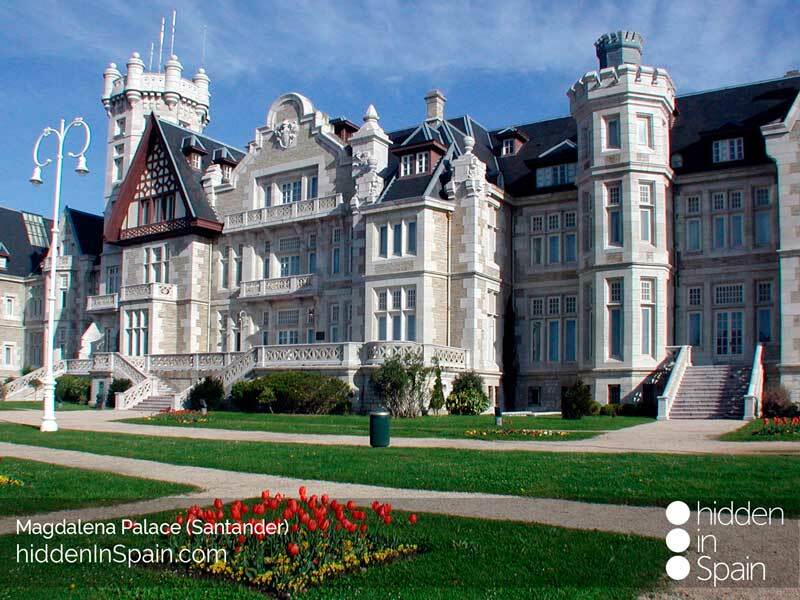 Palaces, manor houses, beautiful buildings, small squares, parks and paved corners complete the picture of this beautiful place, not to mention the beautiful beach every summer attracts thousands of tourists. 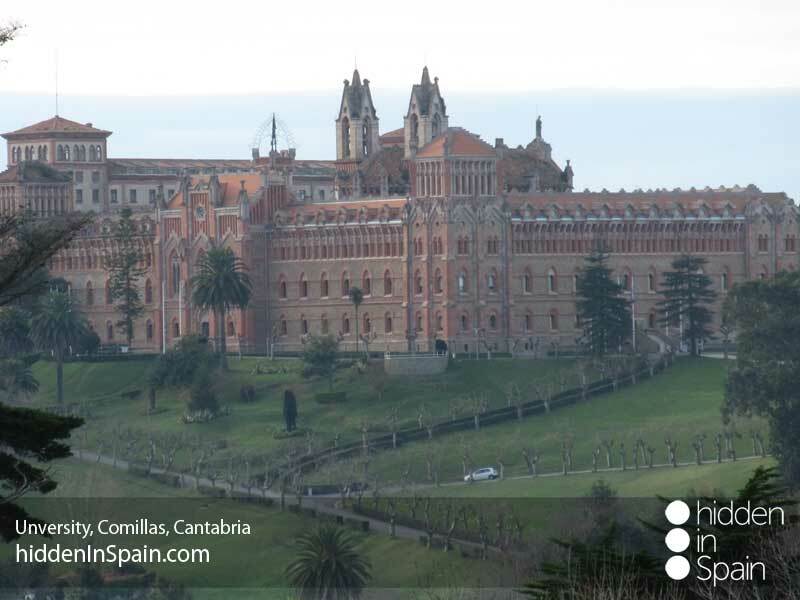 Don`t miss the “Pontifical University”, The Coteruca viewpoint, the “Sobrellano” palace, the chapel-pantheon of the marquis of Comillas and the “Capricho”, designed by famous architect Gaudí. 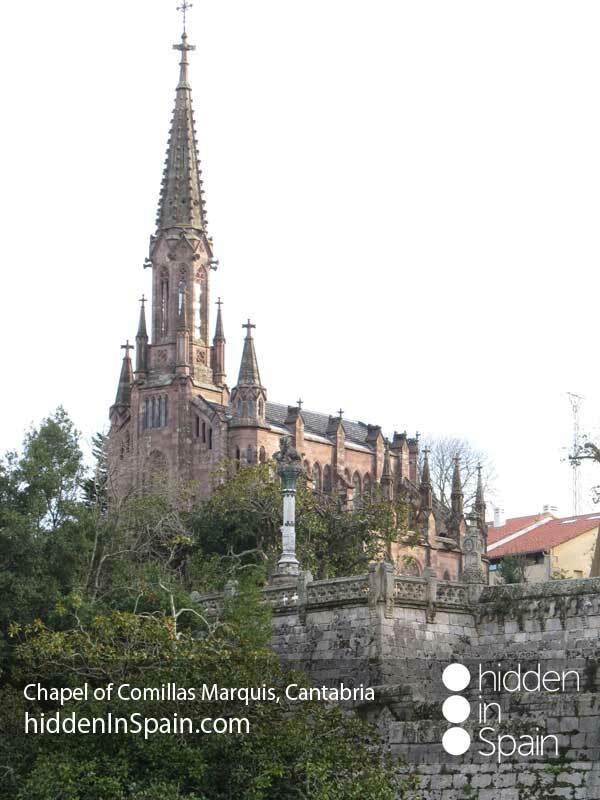 Just outside Comillas you can find a cementery chaired by the ruins of a Gothic Church. 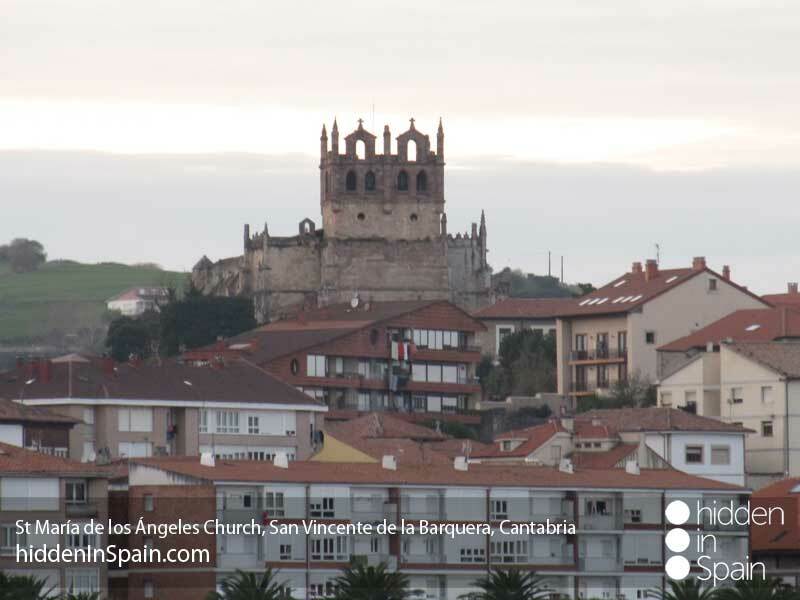 S. Vicente de la Varquera is our last stop today. 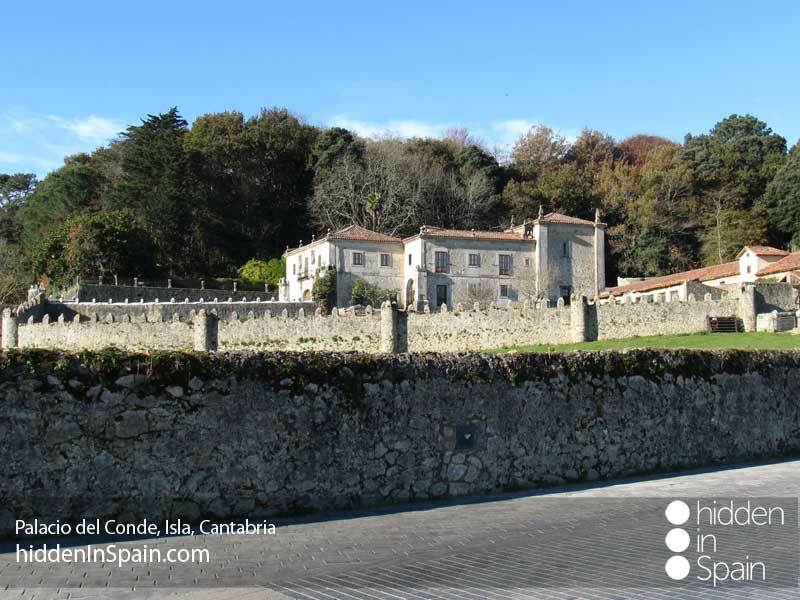 Beautiful village declared historic artistic town. 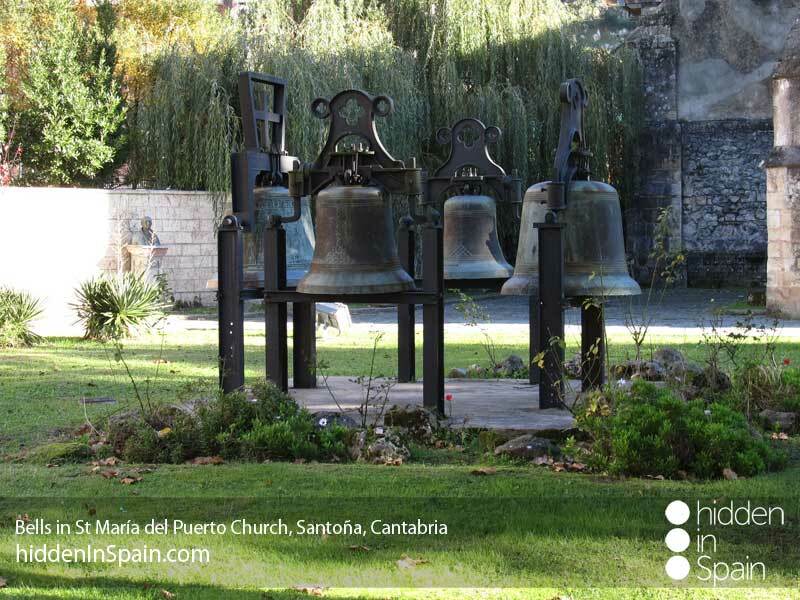 The old town called “Puebla Vieja”, the castle of the king (XIII century), the “preboste” tower, the “concepción” hospital and the church of “Santa Maria de los Angeles” are some of the visits we highly recommend. 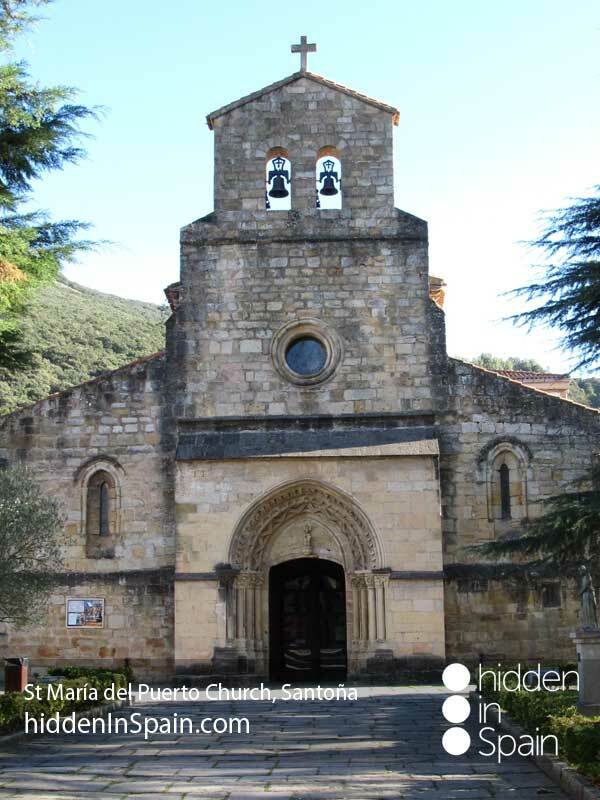 Next to the pier do not miss the hermitage of the “Virgen de la Barquera”. 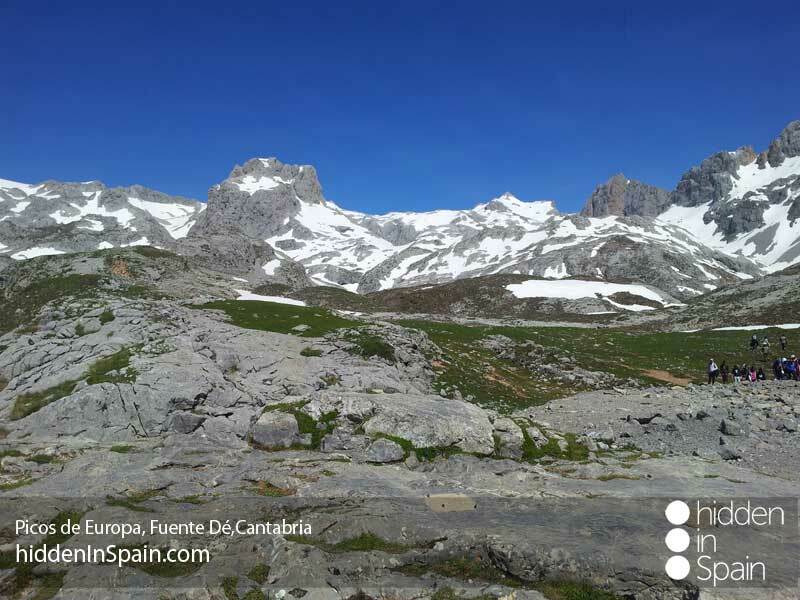 We are entering into the “Picos de Europa” natural park. Enjoy the route and its beautiful sights. 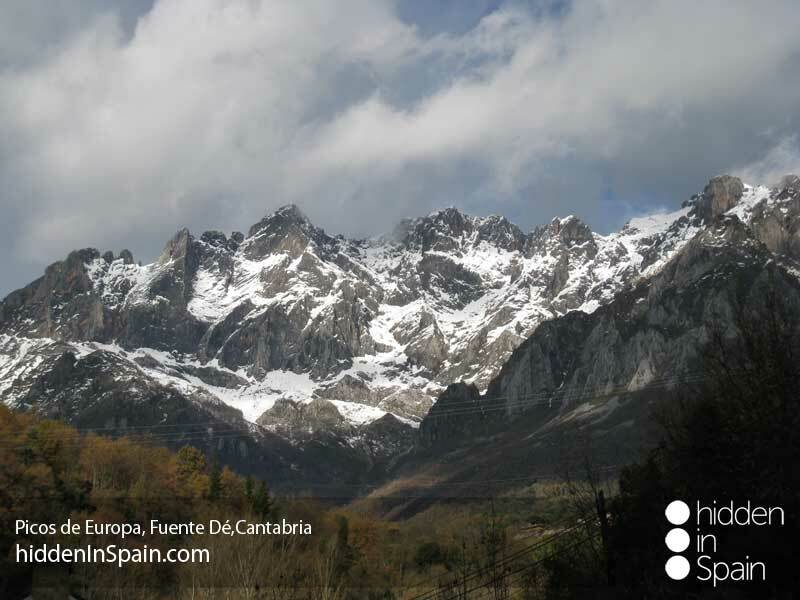 After Unquera you will go in the “Hermida” gorge, a narrow road inside a mountain that will take you to Potes, first stop today. 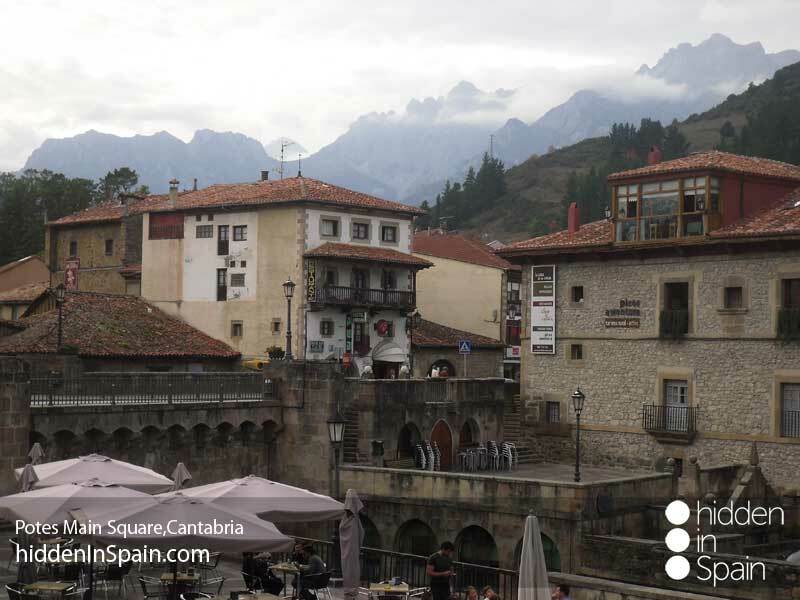 Potes is the capital of “Liébana” Valley. 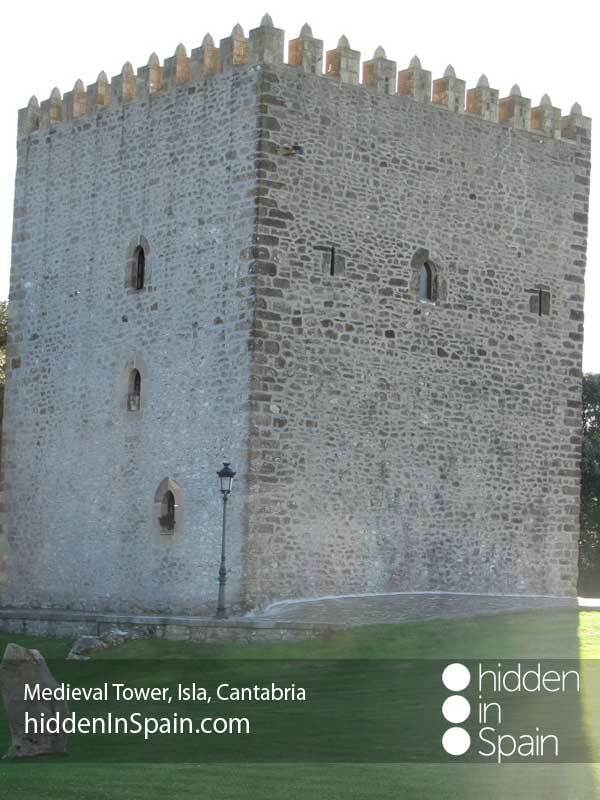 The tower of the infantry is from the XV century. 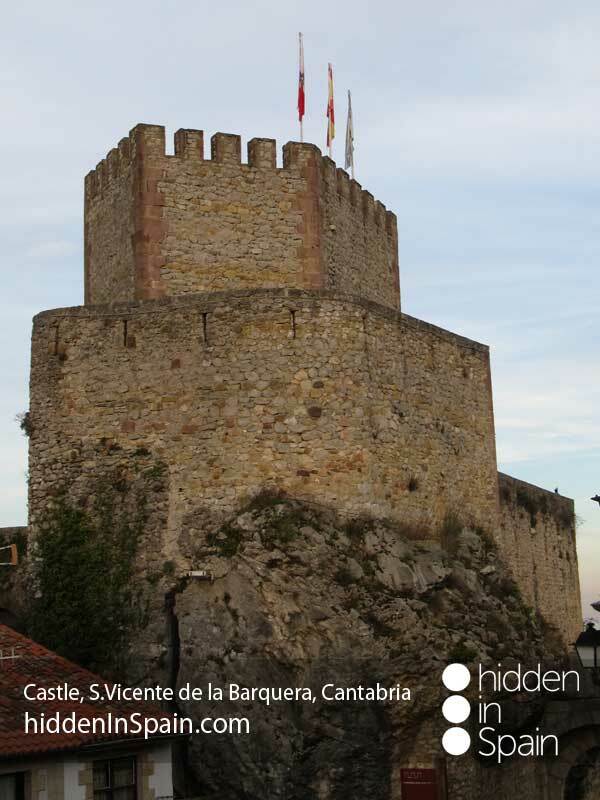 Pas the bridge and visit the town full of cobbled streets and traditional houses. Make some shopping or just relax and have a drink in any of its bars. Although it is a small town it is always full of people. 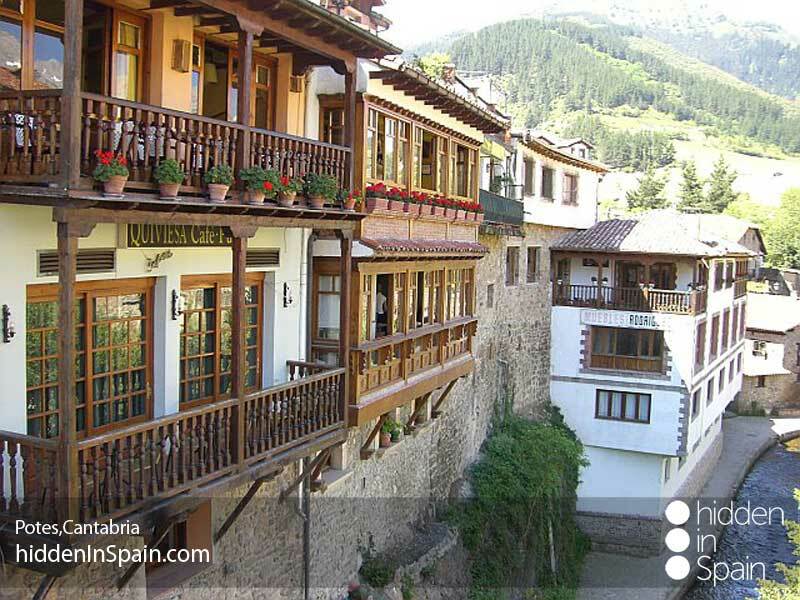 In Potes you can find many distilleries where “orujo” is produced. It is a very strong drink (60º - 80º) and many different kinds have been made. 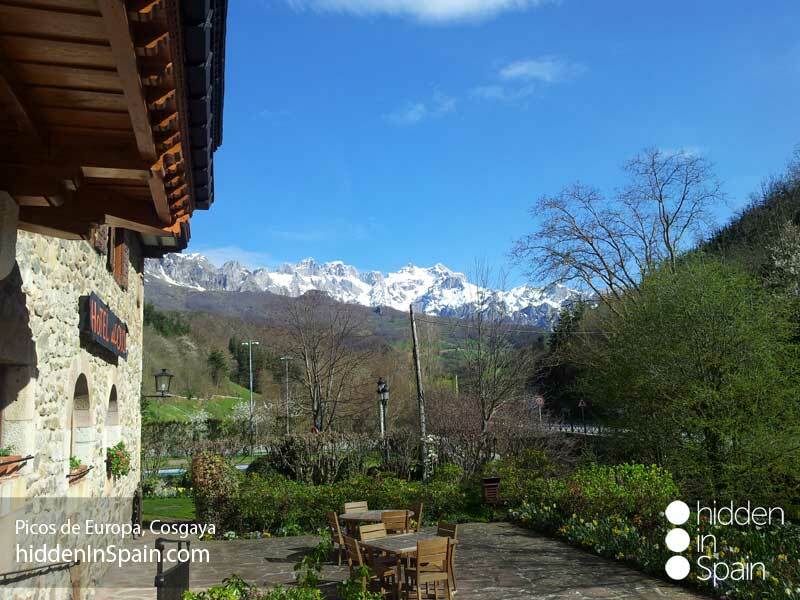 The original one is called “blanco” (white) but you can find the “herbs” one, the “cream” one, etc… Outside Potes go up the hill to see the “Santo Toribio” jubilee monastery. 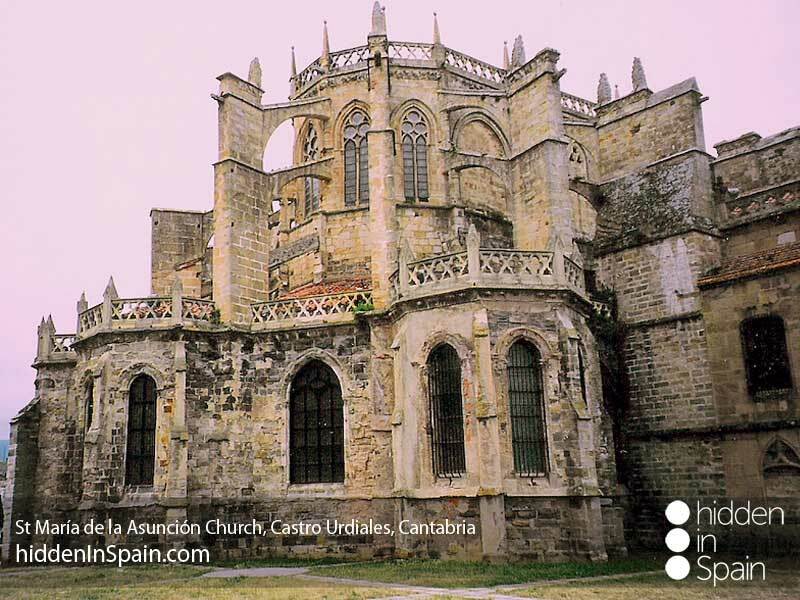 The church is gothic style and is dated in the 12th century. Take the car and go to Cosgaya. The hotel where you will be hosted is just right there. 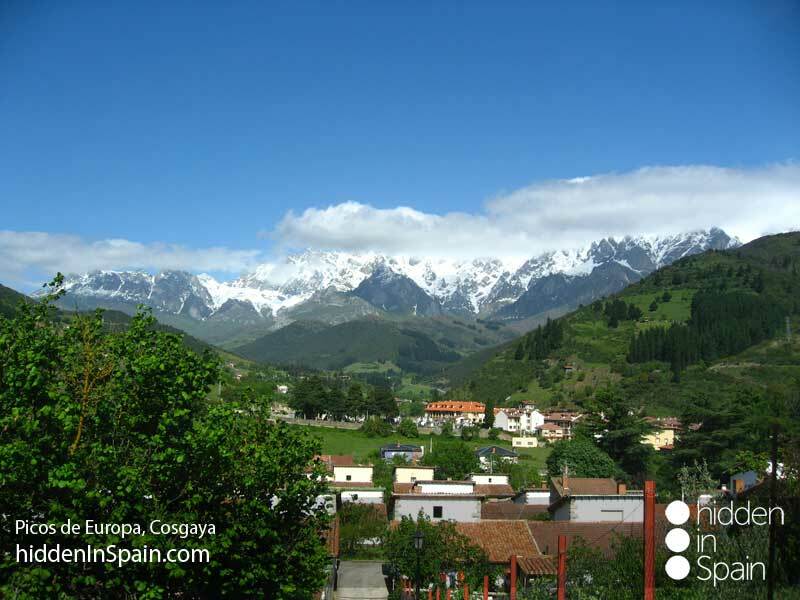 Cosgaya is a small village from where you will be able to hike in one of its many routes. But do it before you have lunch in this hotel as food is awesome and service is excellent. 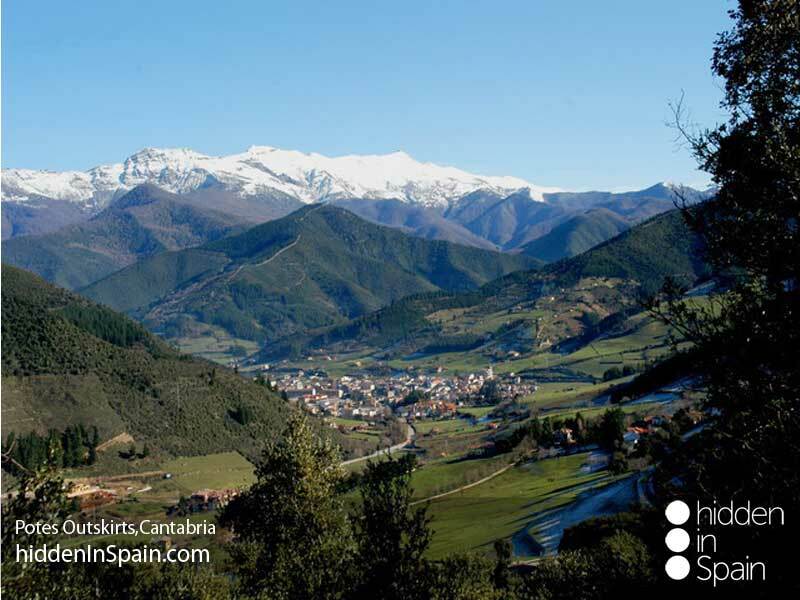 Don`t miss Fuente de 13 km far from Cosgaya. Get the cable car and go up the mountains. The views are valued the trip itself. 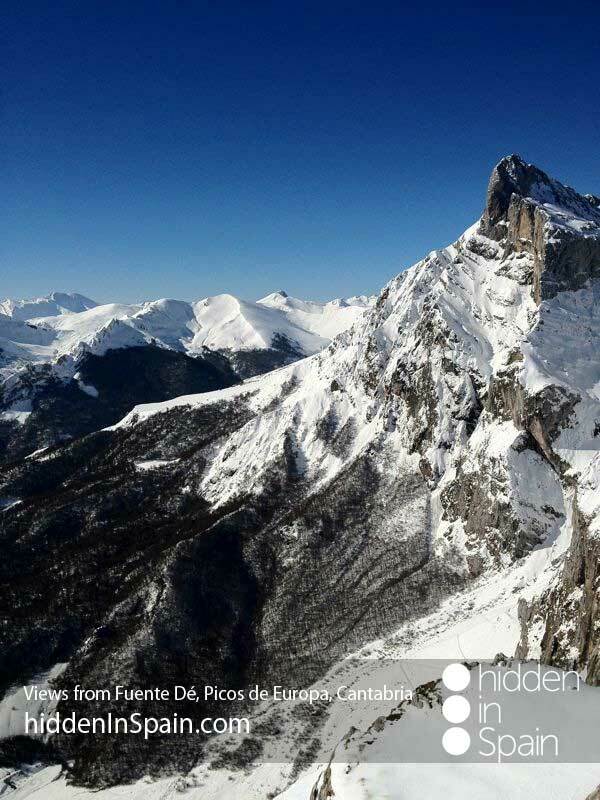 You can also hike from up there in any of the recommended routes. Overnight in Cosgaya. 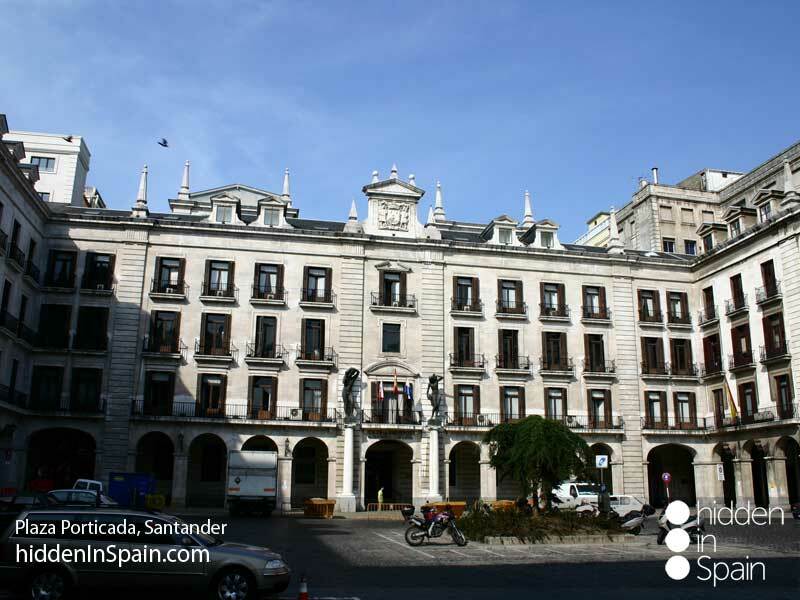 You are moving to Santander today. Get the day to visit the town. 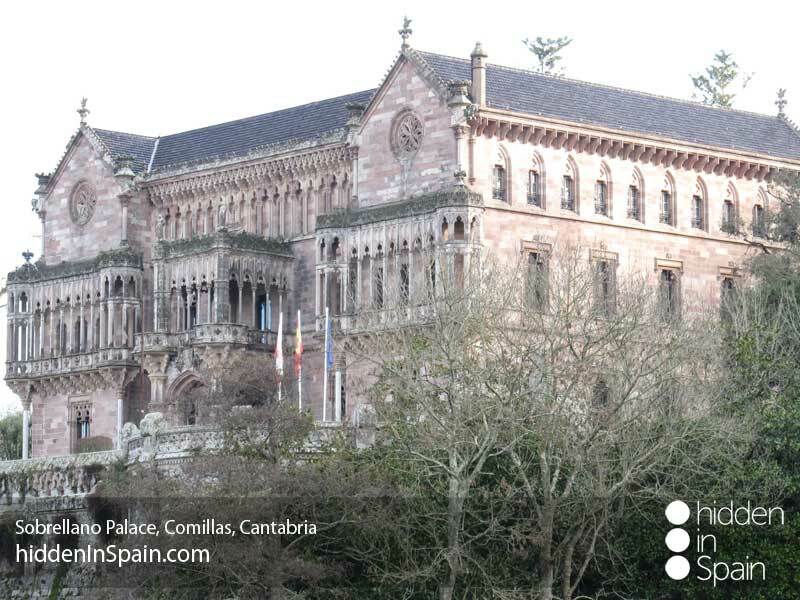 This is the capital of Cantabria. 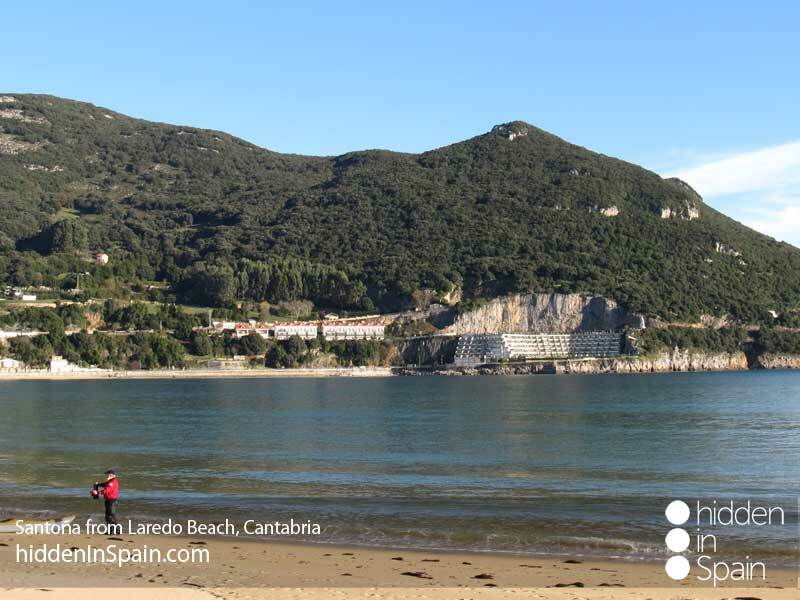 Coastal town with a large south facing bay whose beauty has made it one of the world's most beautiful bays. 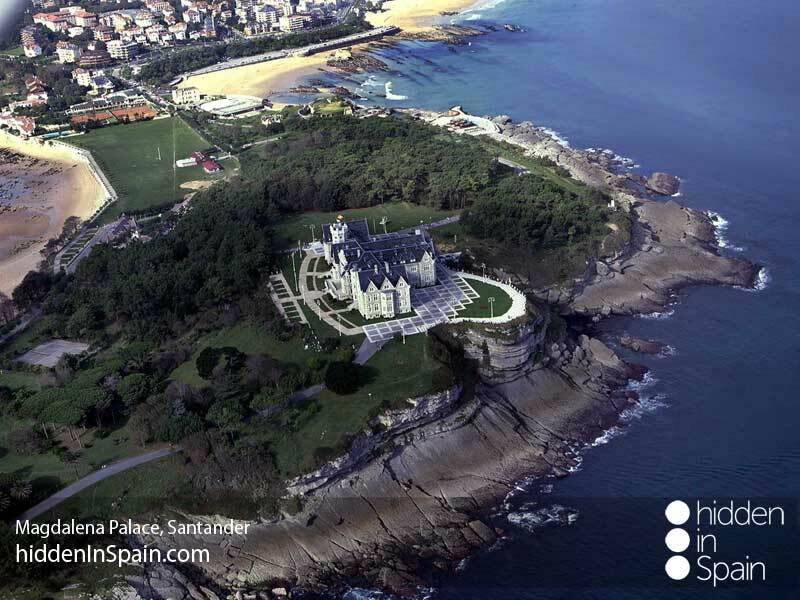 You will find 13 beaches in this town but you shouldn´t miss “El Sardinero”, where you will find the Magdalena Palace, former residence of the Kings of Spain. 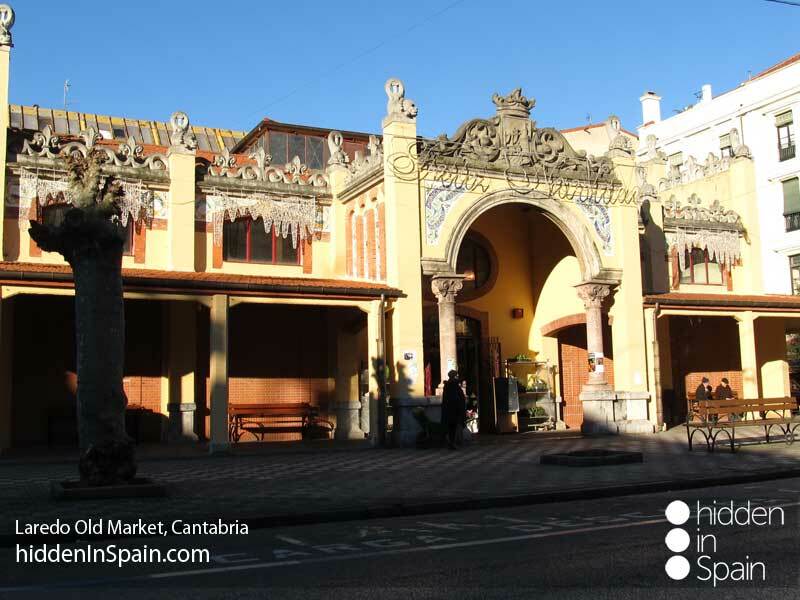 Get to know the historic center of “Puertochico” and look at the “noble” buildings where you can buy something in some of the best shops in town. 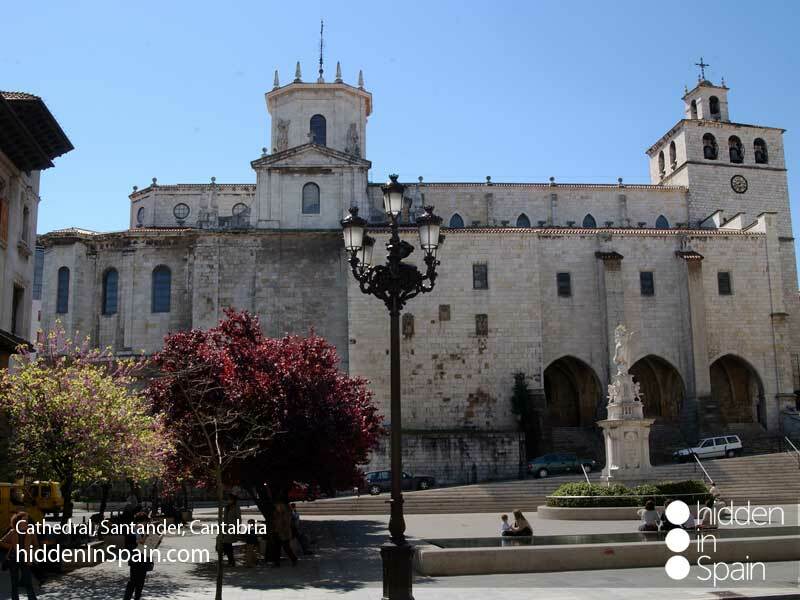 Visit the Cathedral, the “Plaza Porticada”, and the Great Casino. End of trip and return home. 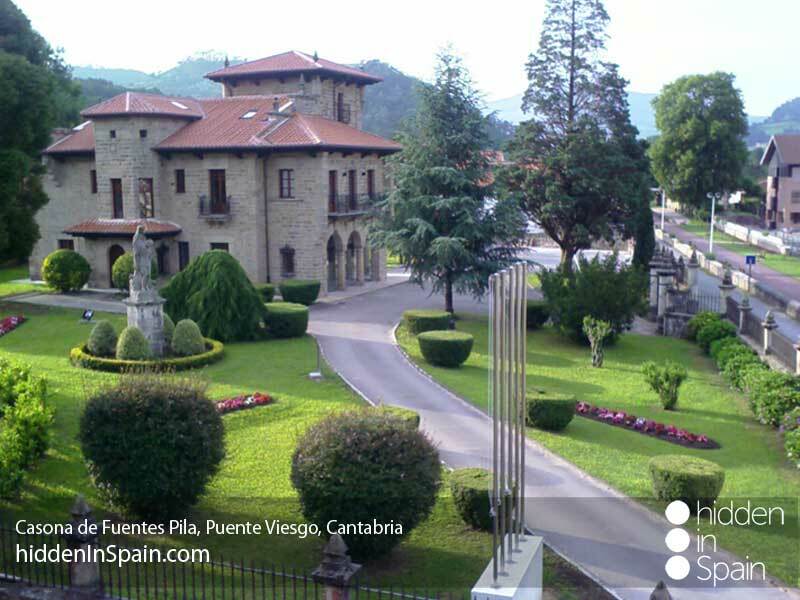 6 nights accommodation in 3* or 4* hotels (1 night in a wonderful SPA) where available and/or boutique hotels and country houses in some areas. Based on 2 people sharing in double rooms. Single supplement please ask! 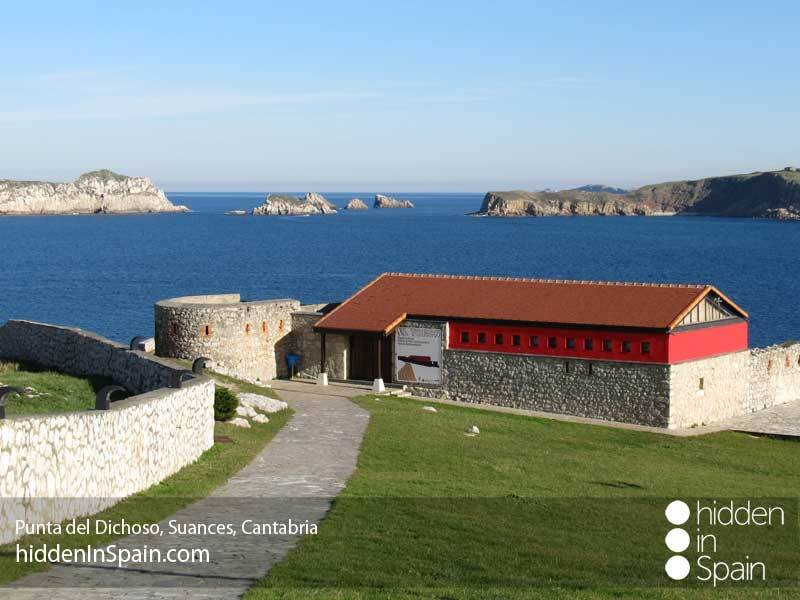 Many different tours can be included at an extra cost, from walking guided tours to ballon rides, make butter or handcrafts with your own hands, caves visits or cooking classes, even with michelin starred chefs, to mention some. We will suggest you the best based on your likes and requests).